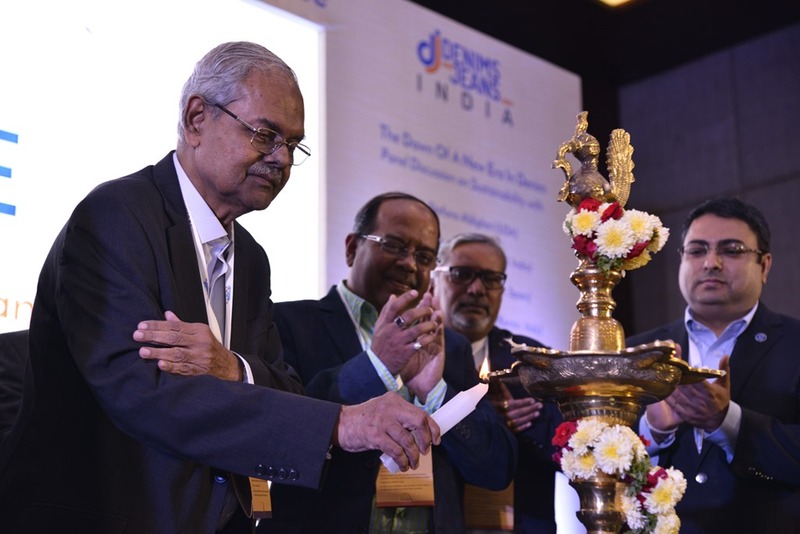 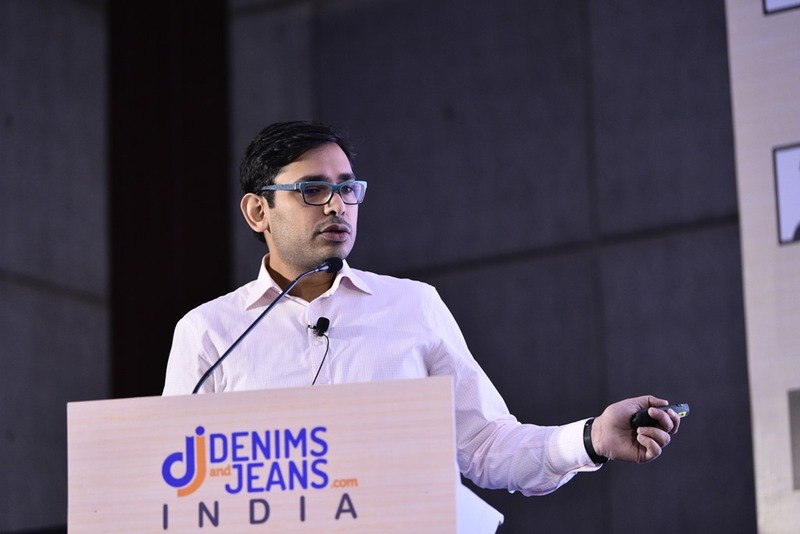 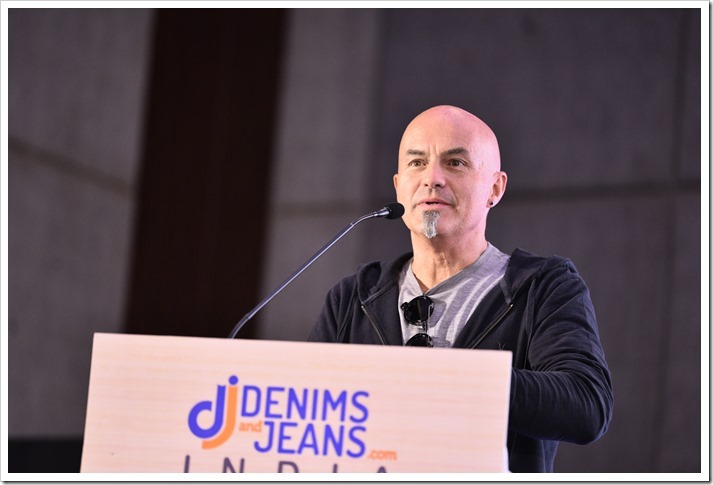 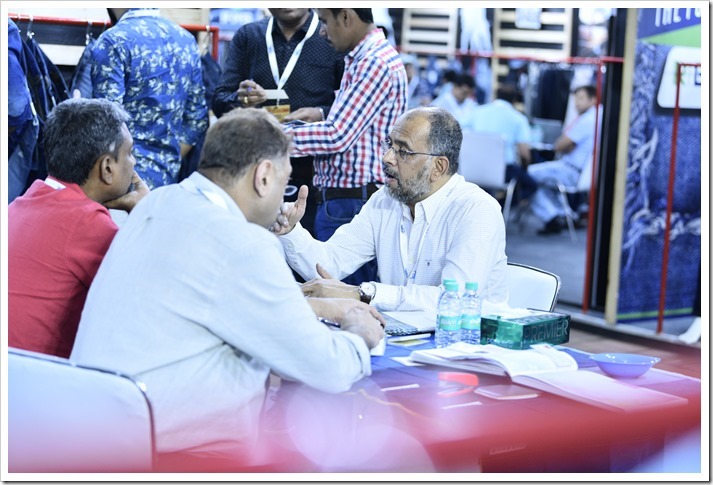 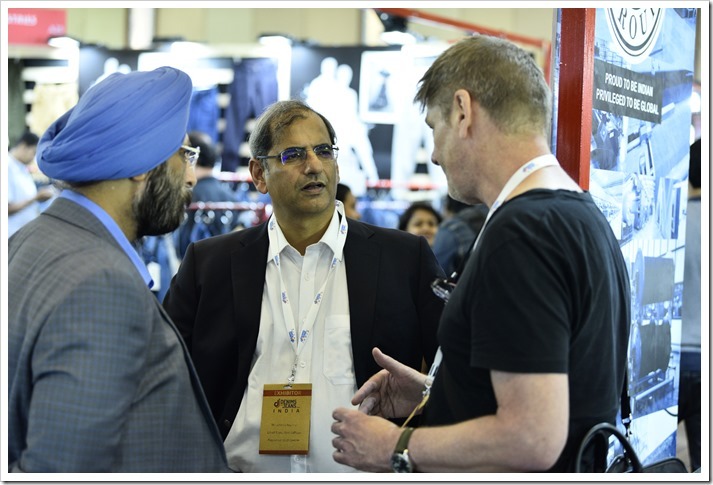 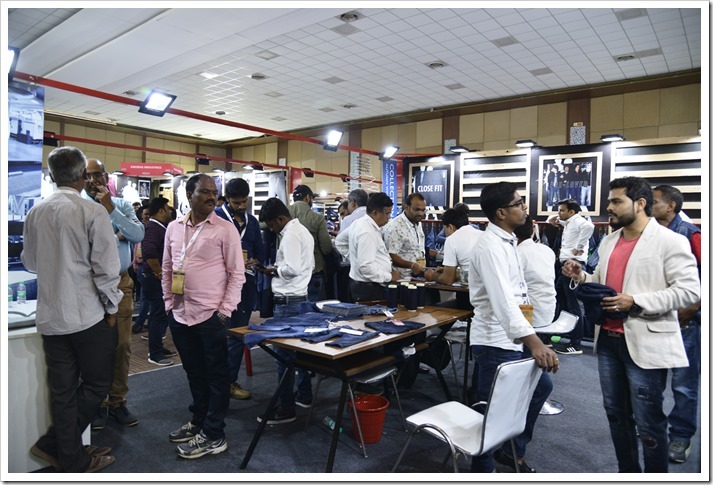 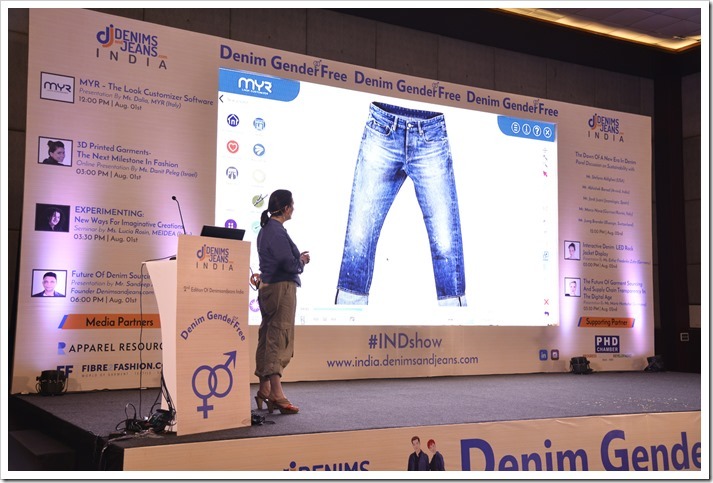 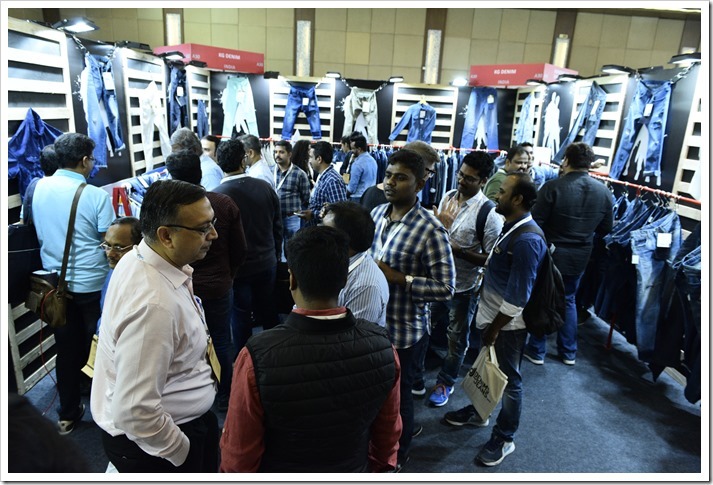 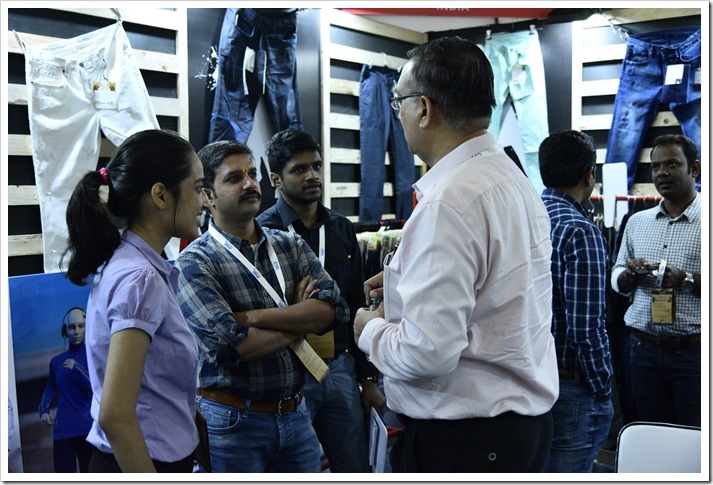 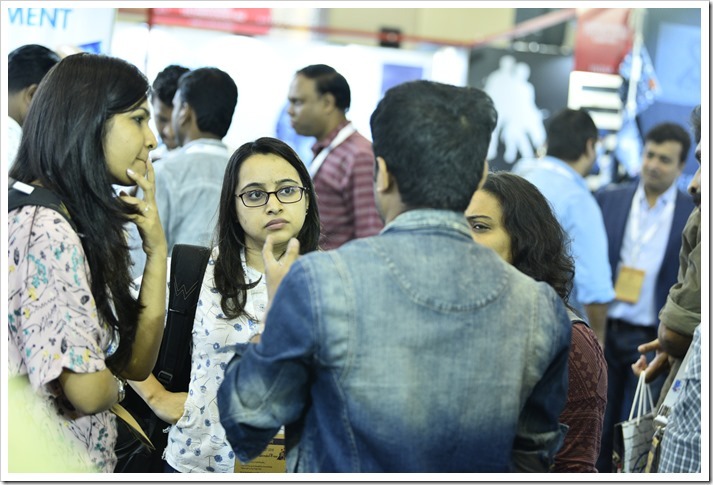 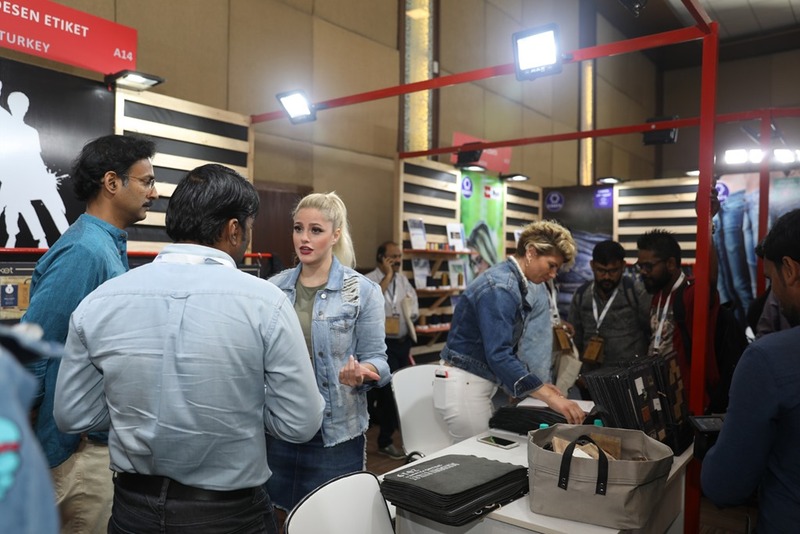 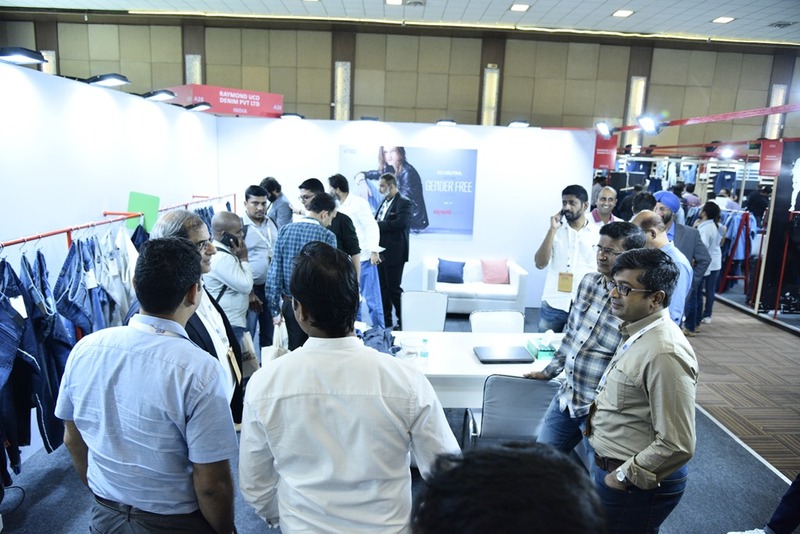 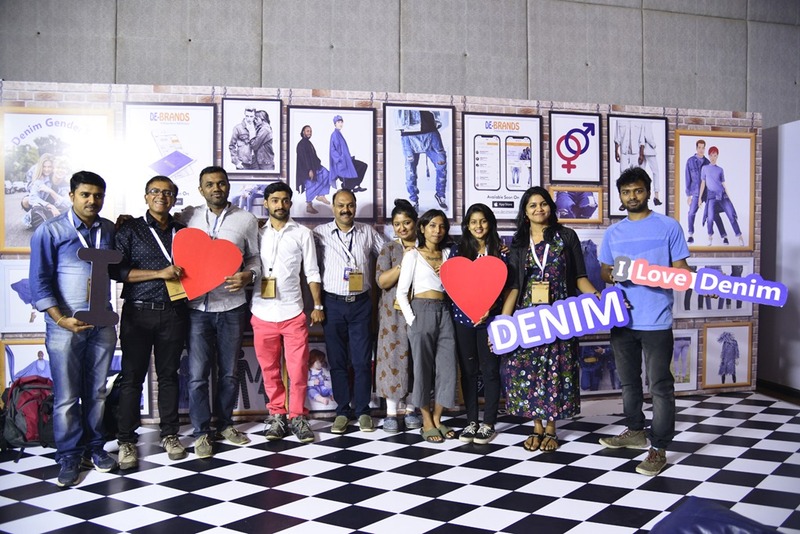 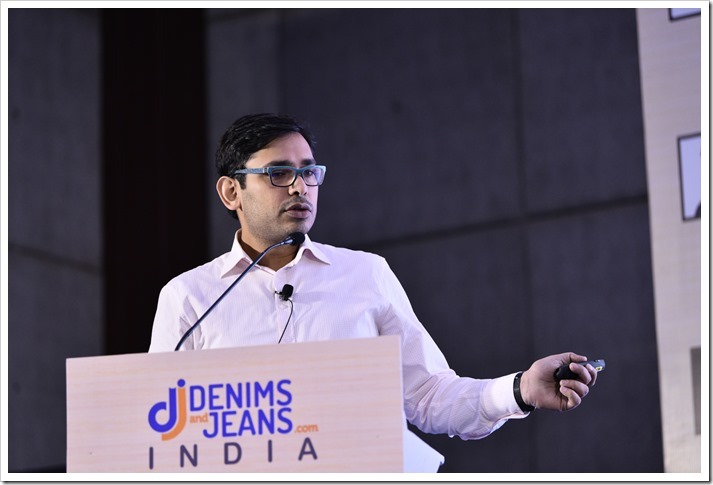 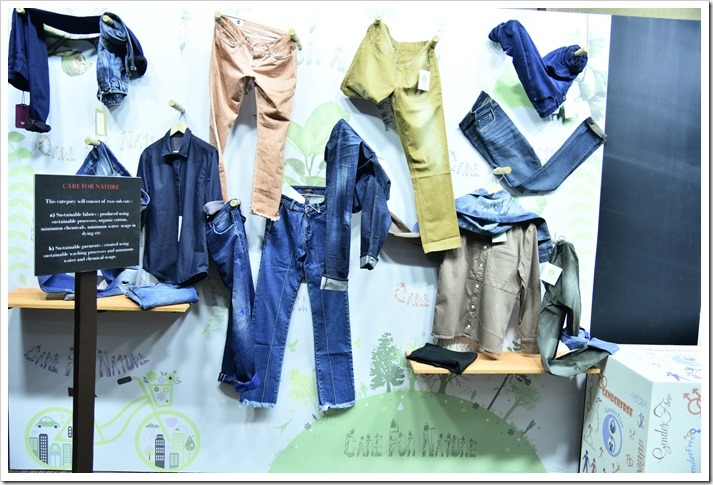 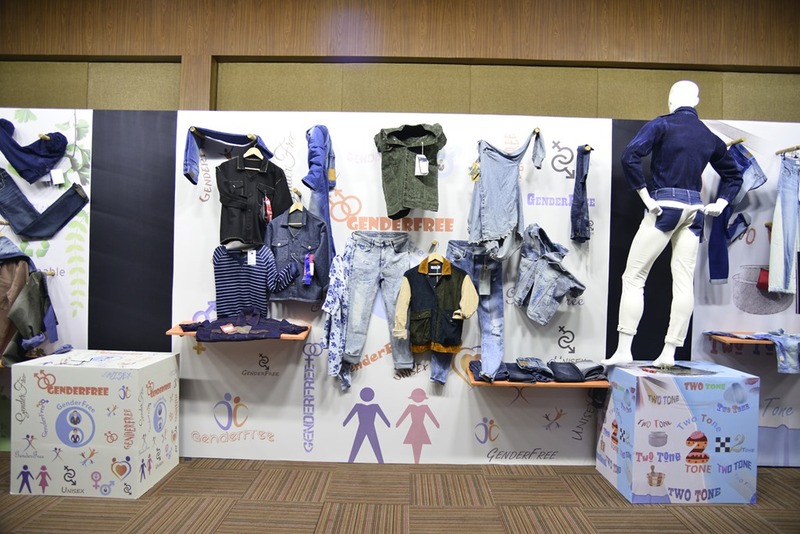 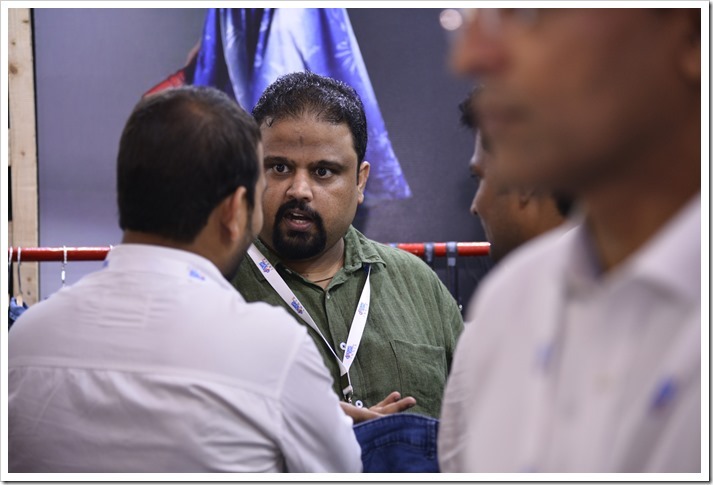 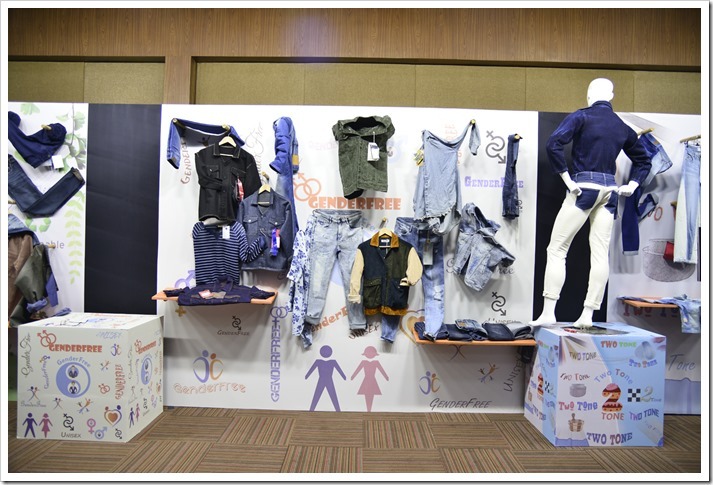 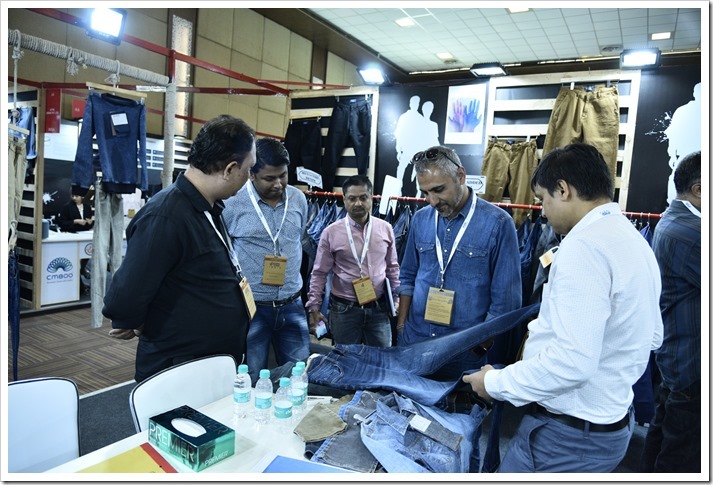 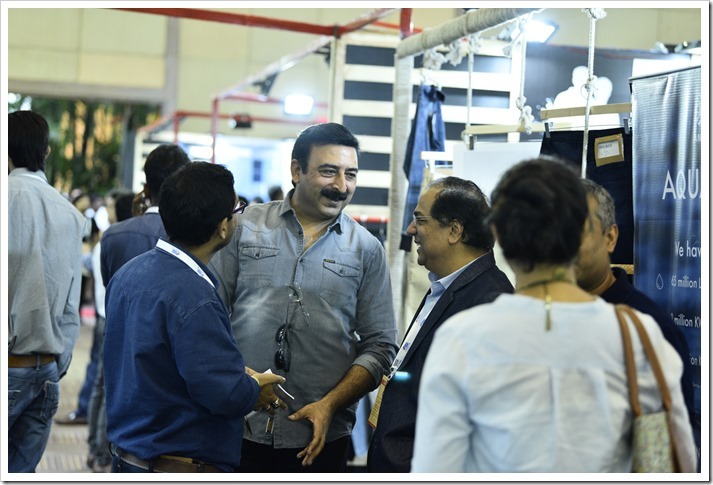 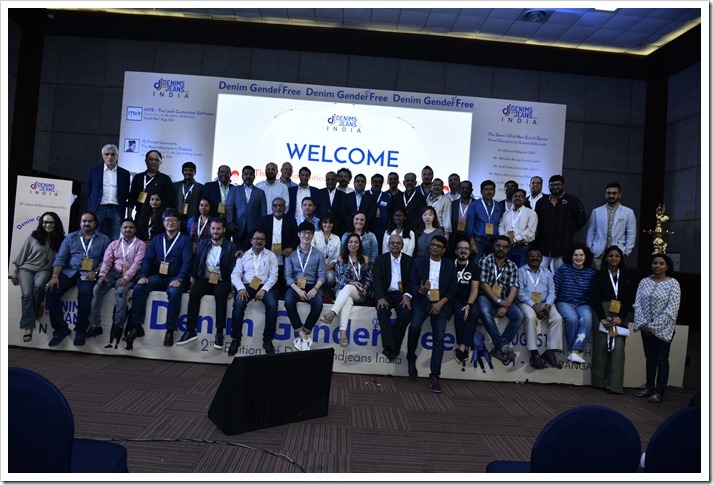 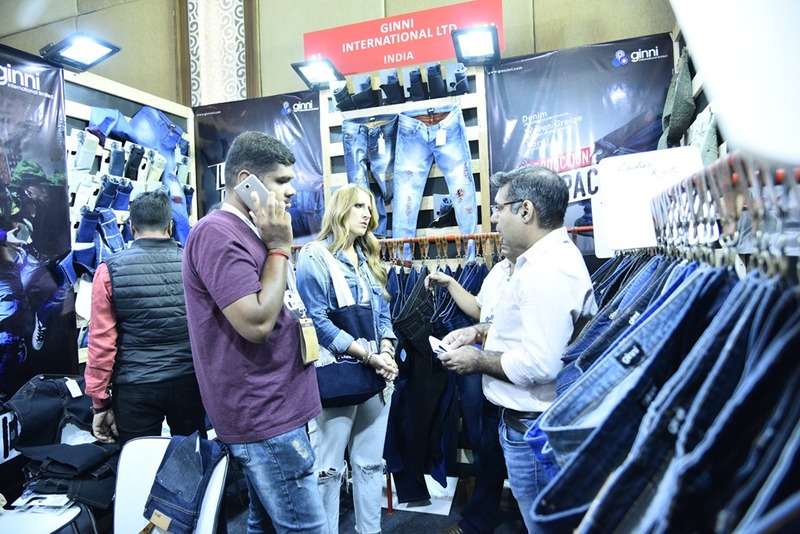 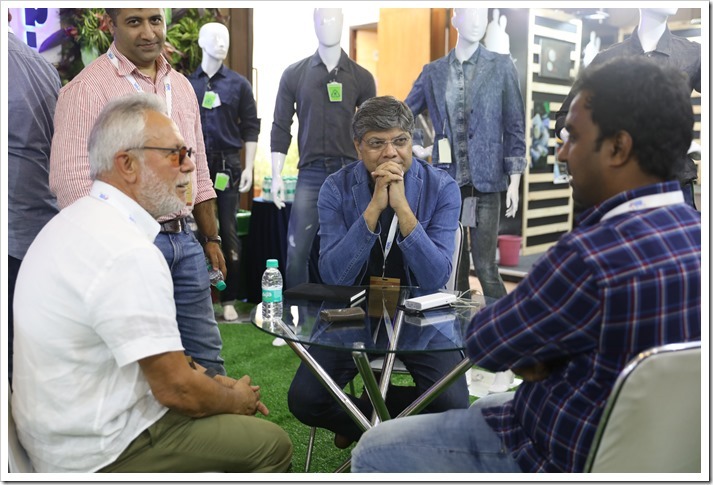 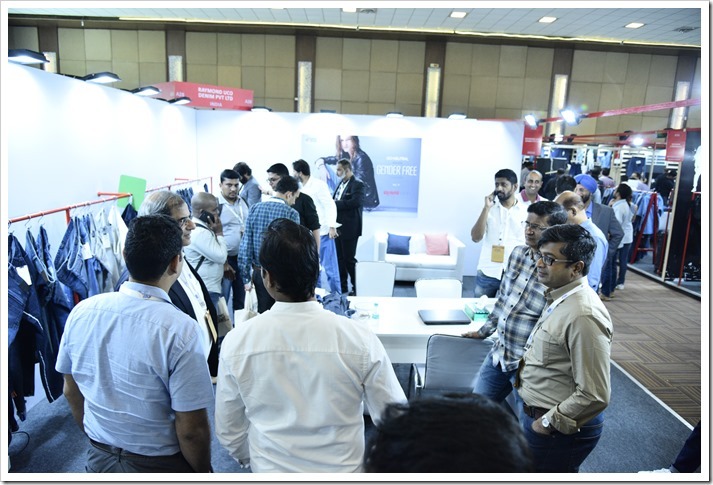 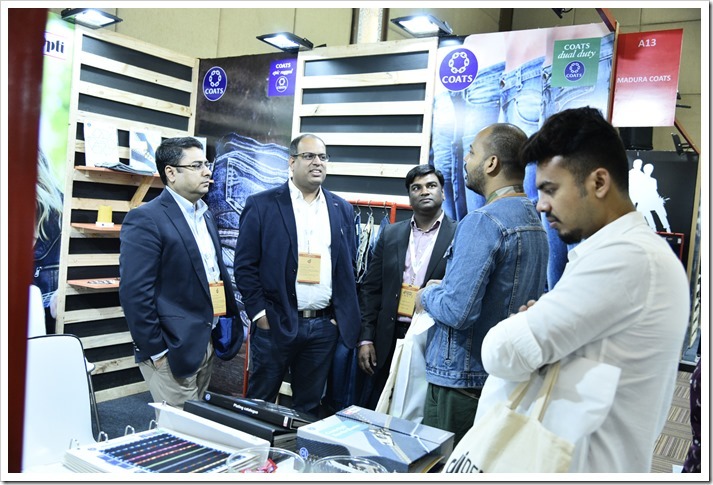 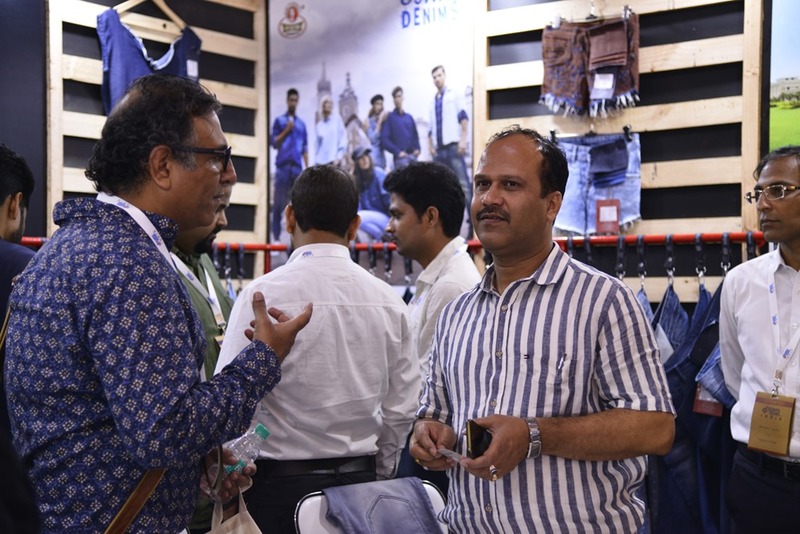 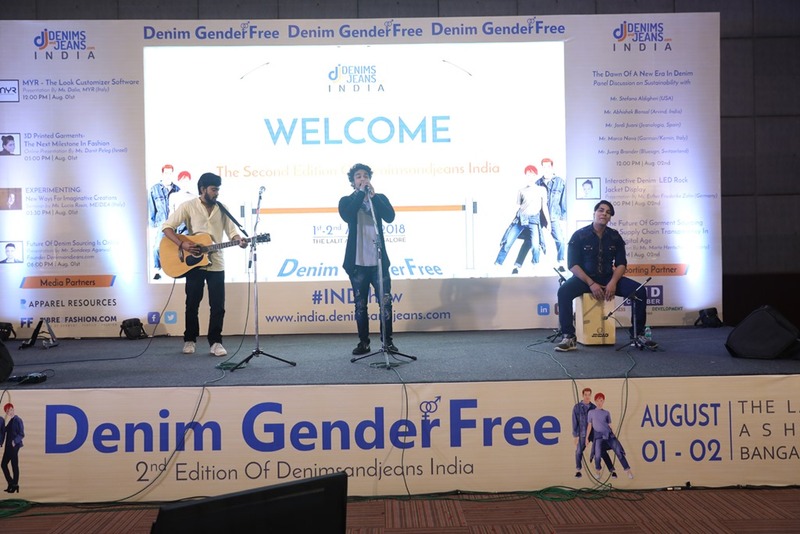 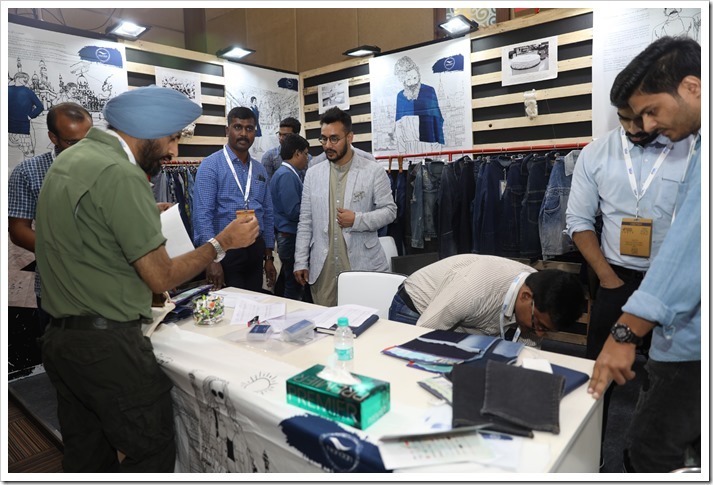 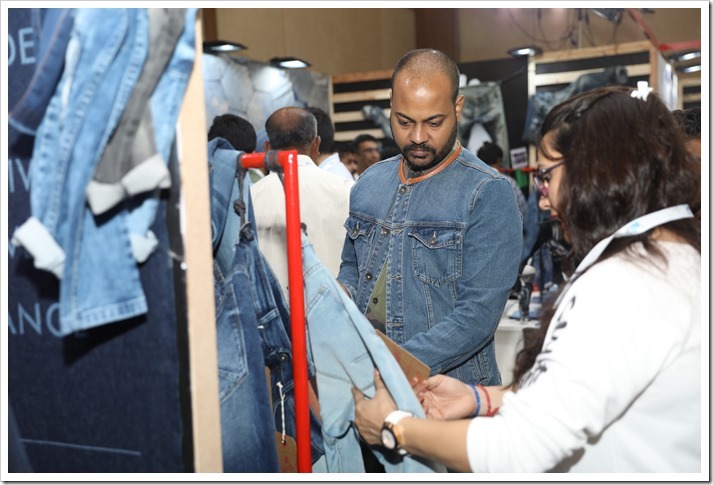 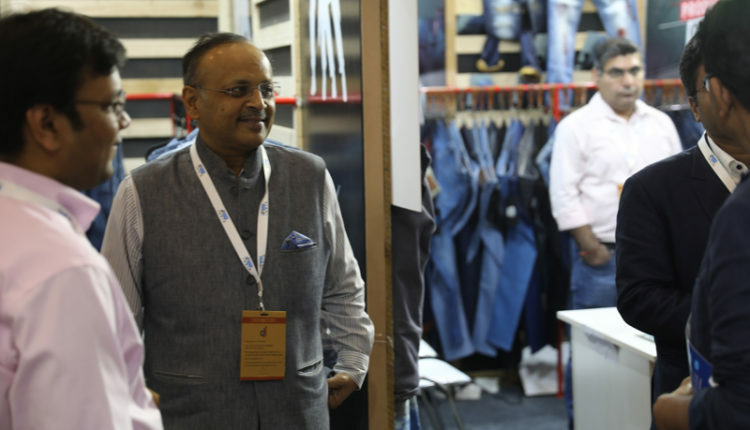 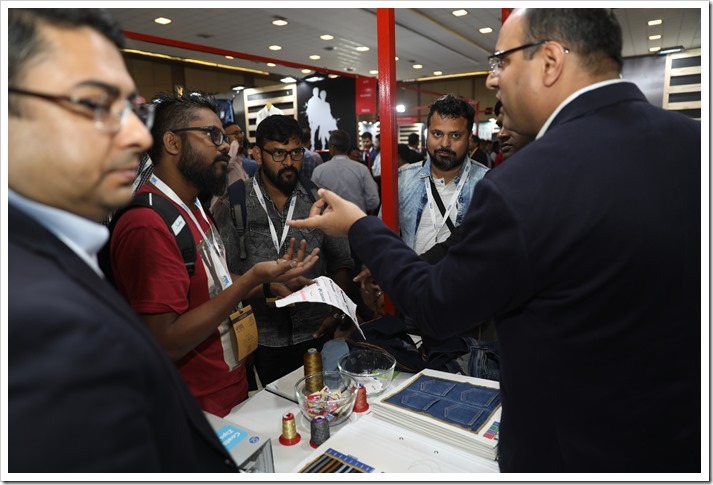 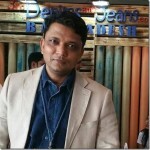 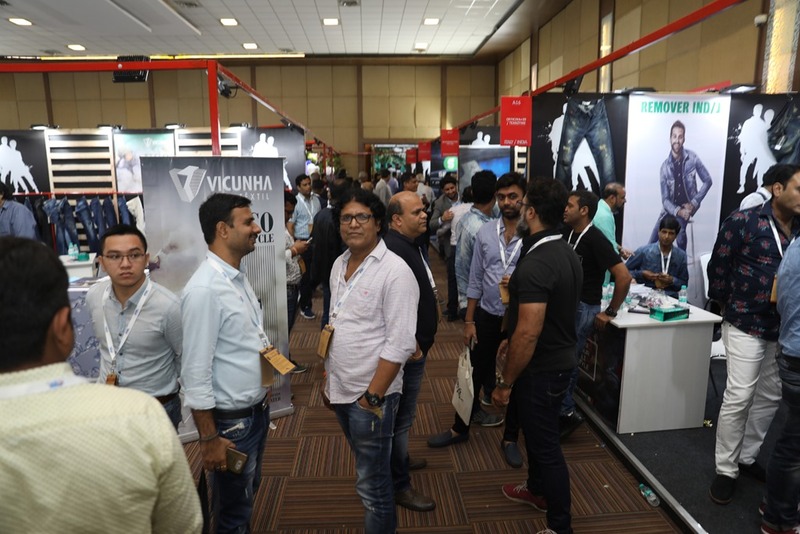 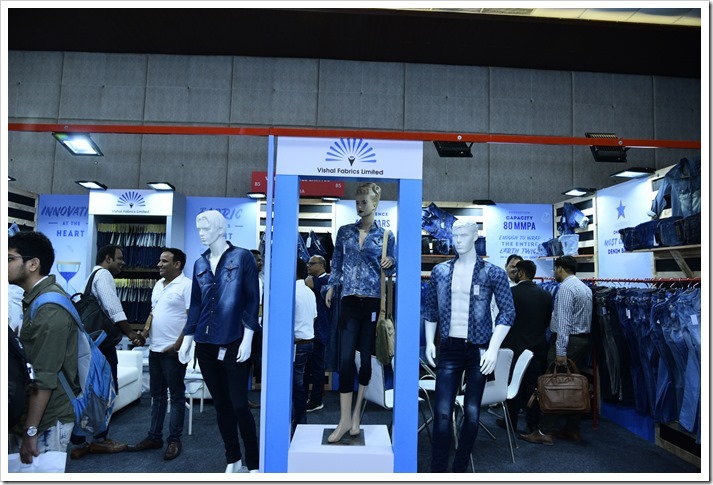 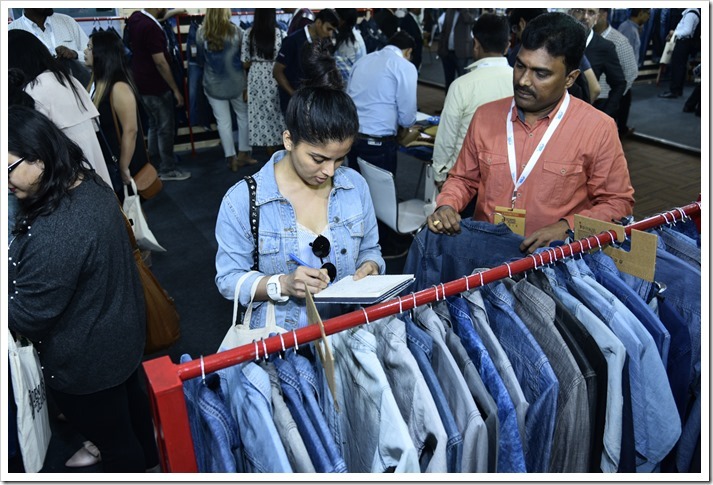 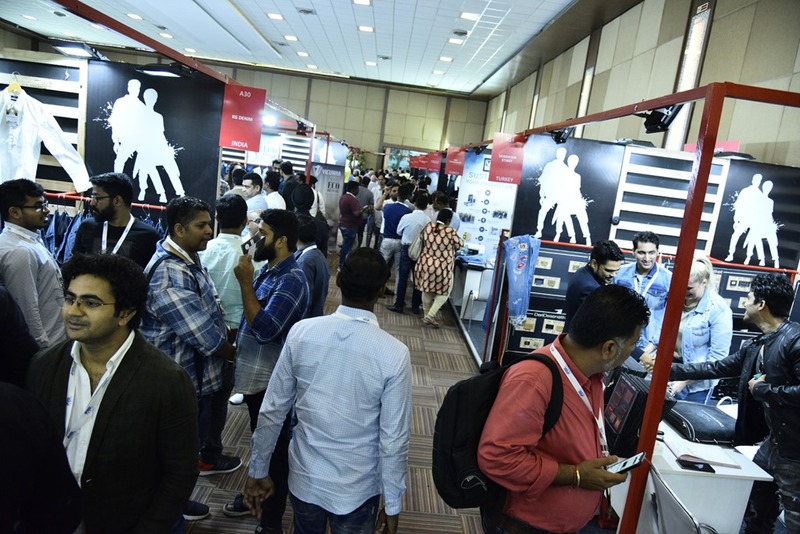 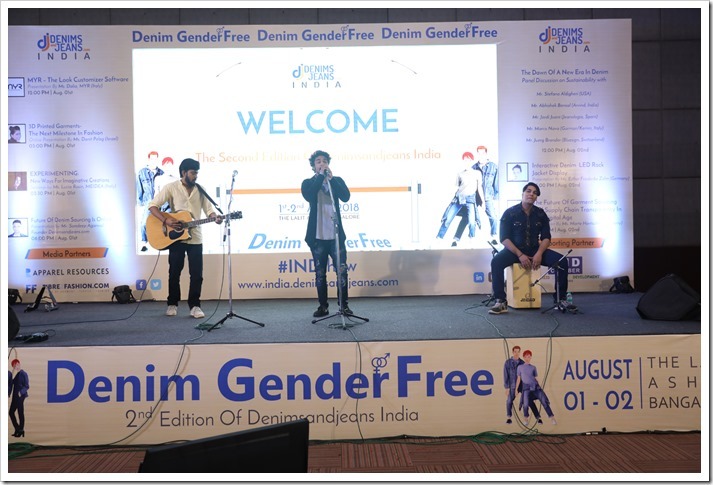 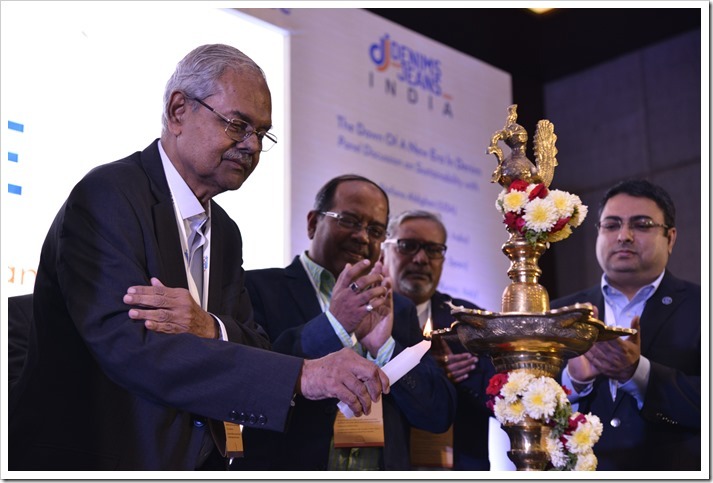 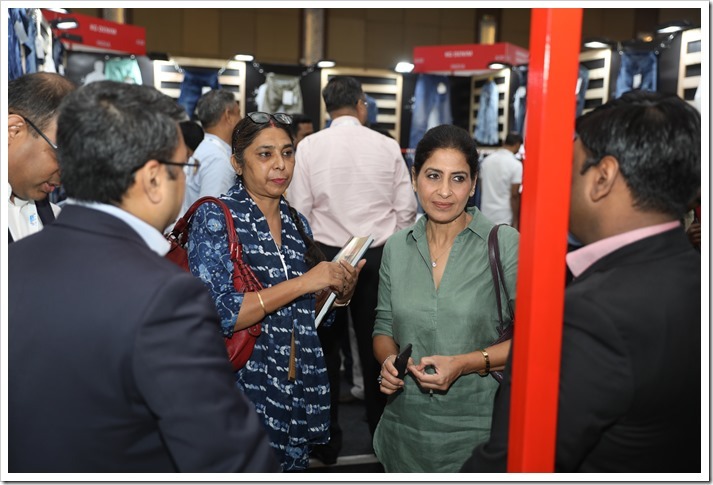 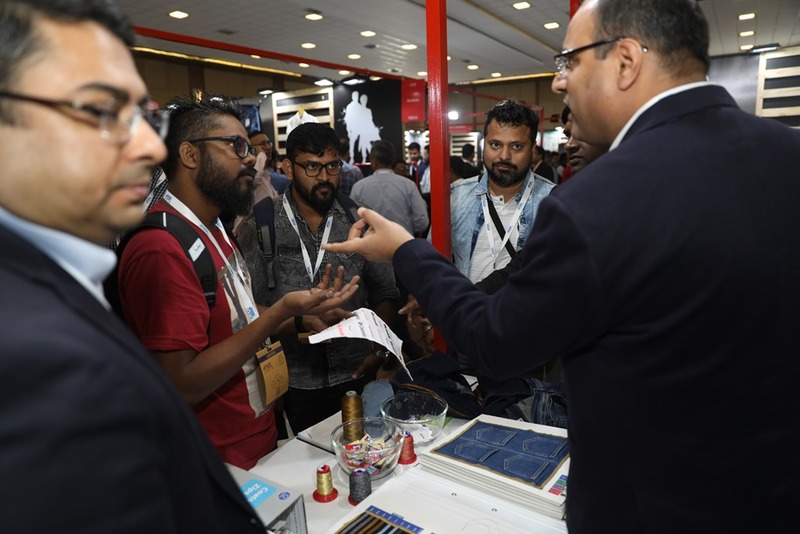 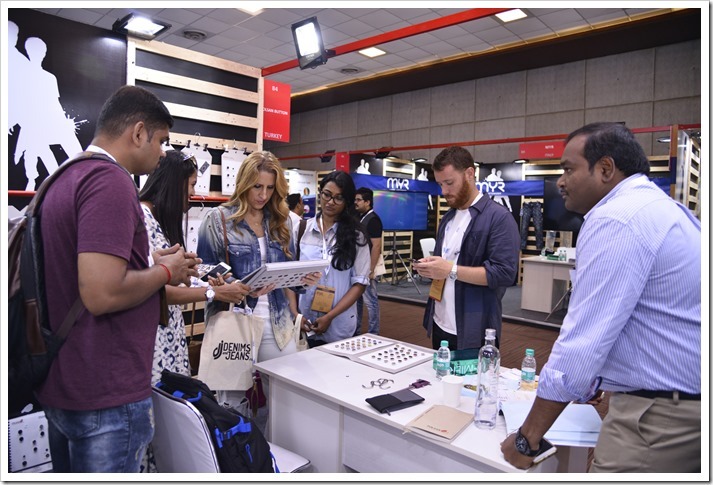 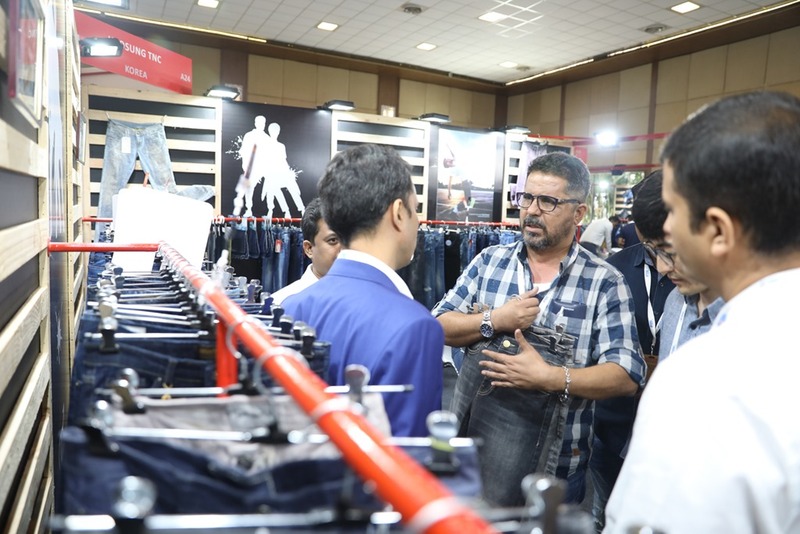 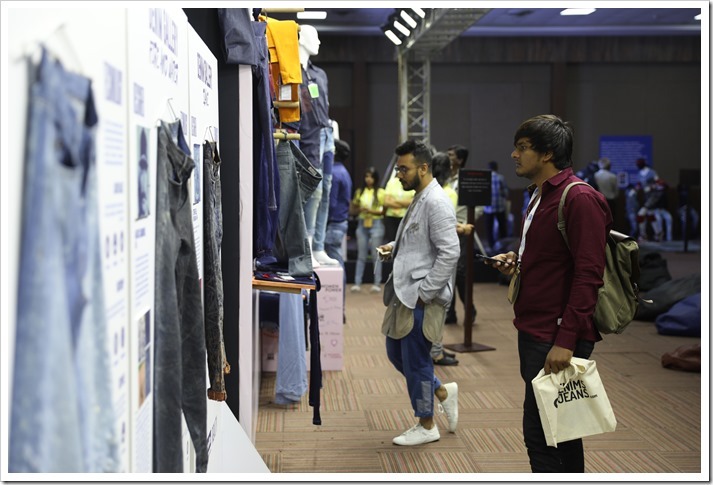 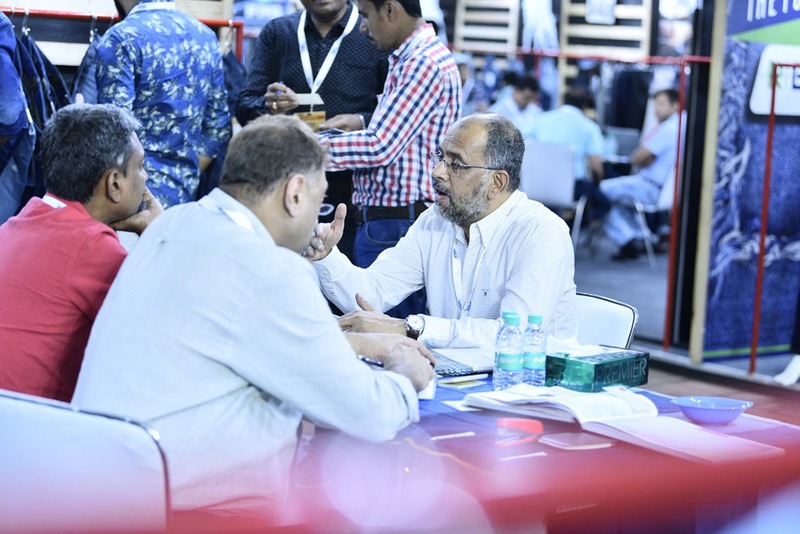 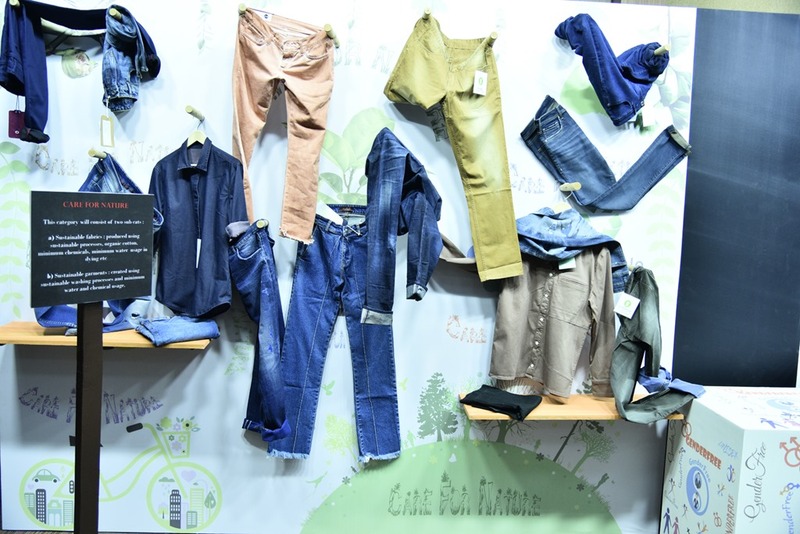 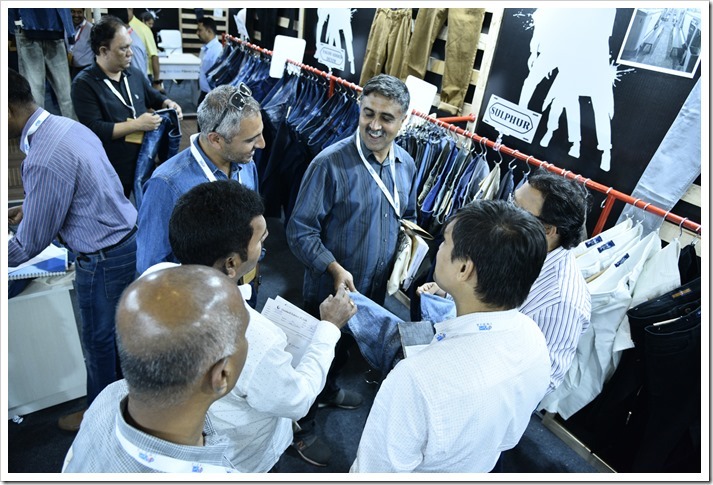 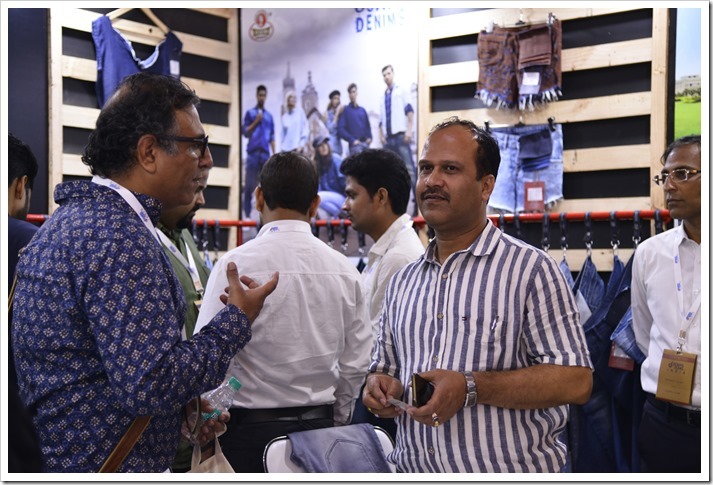 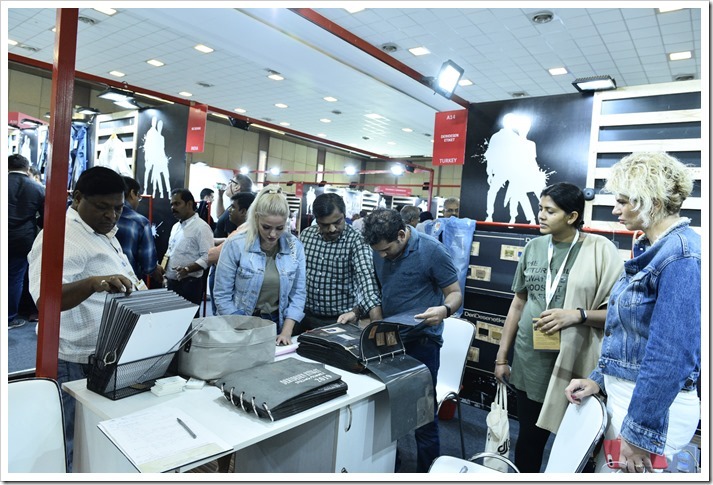 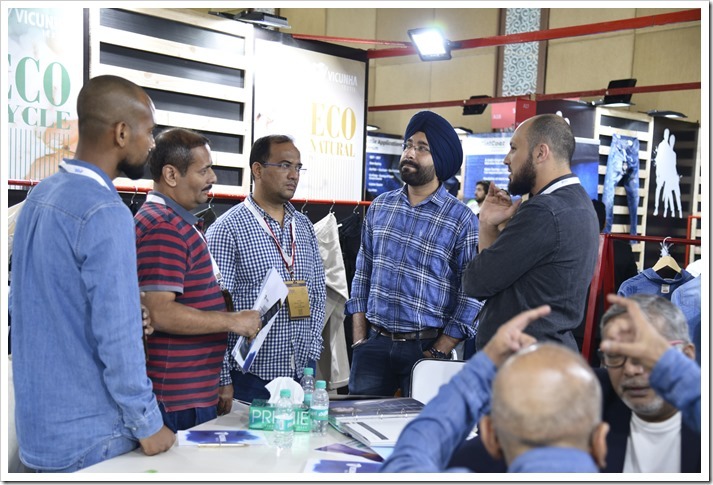 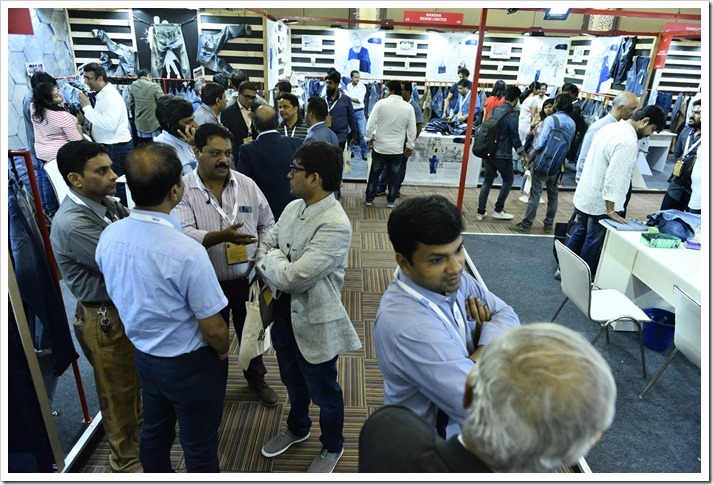 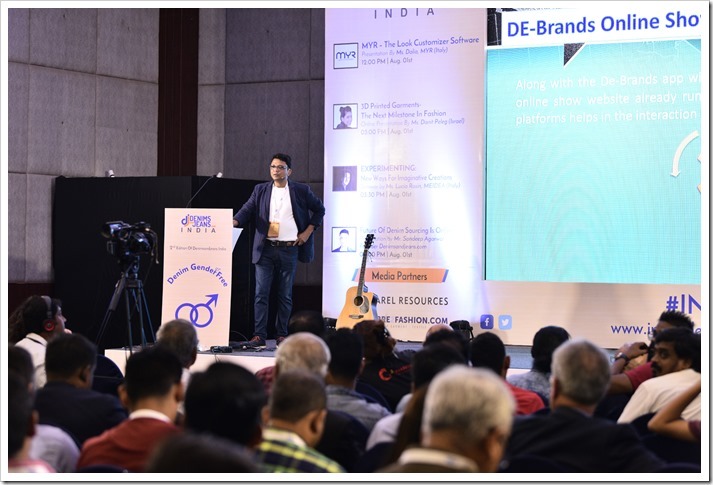 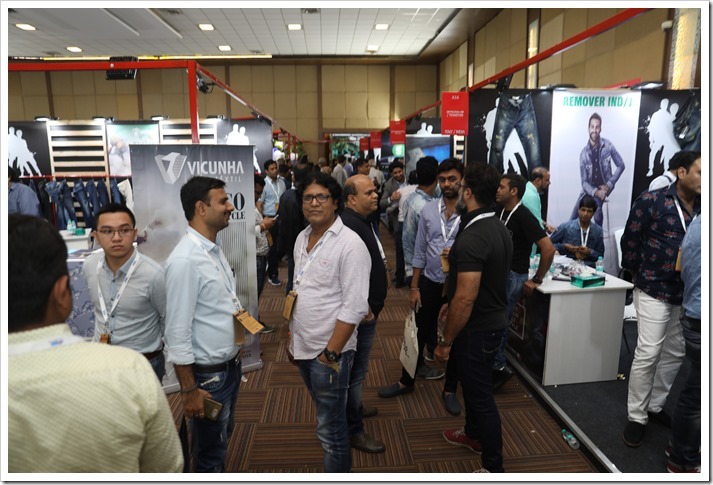 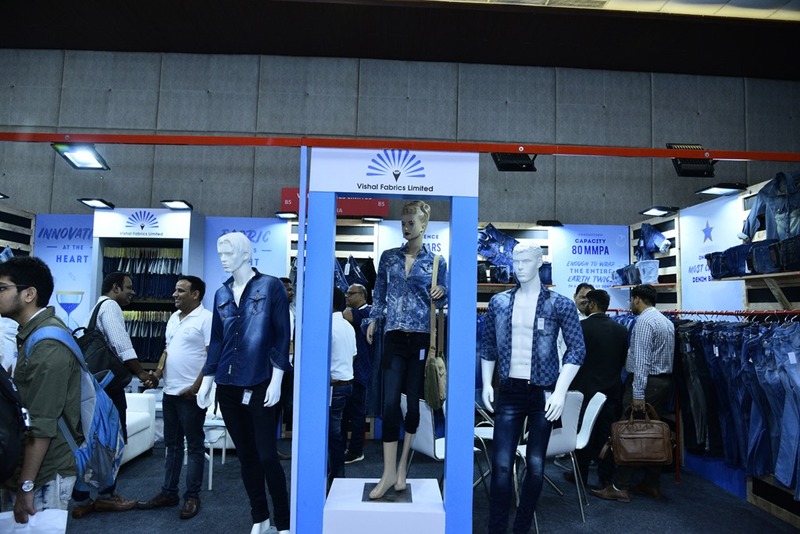 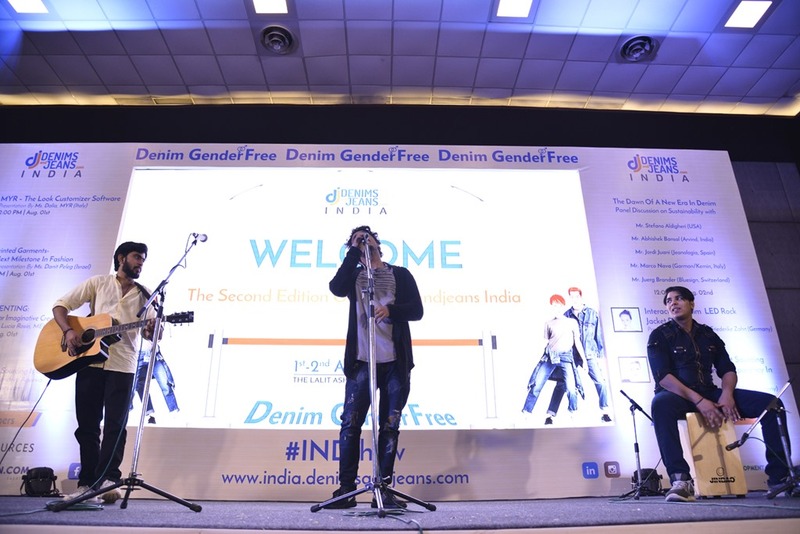 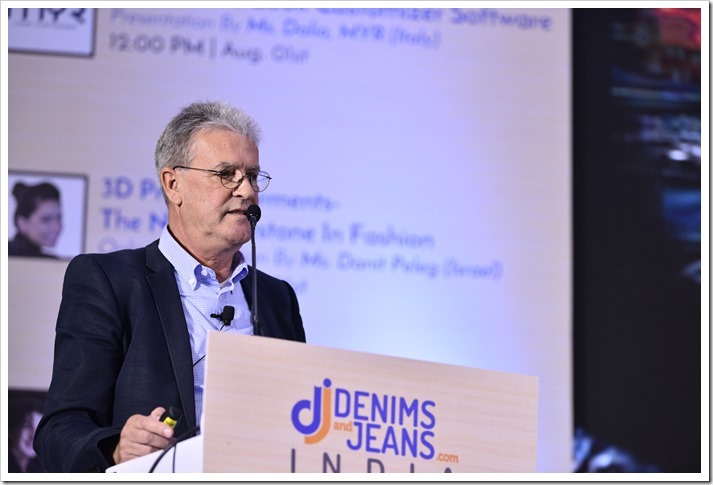 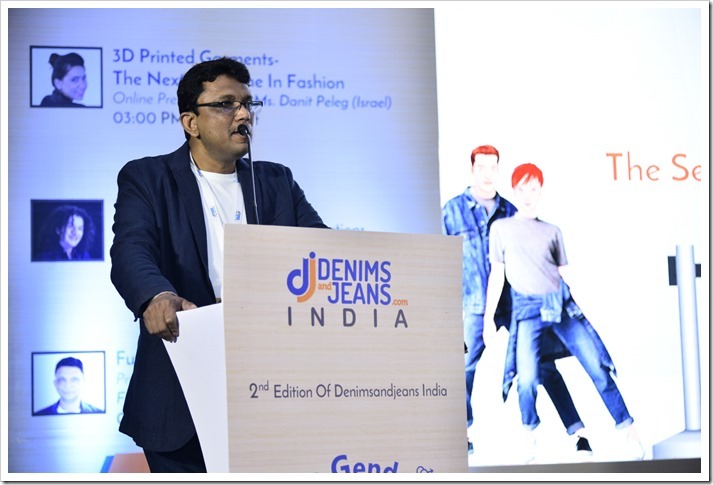 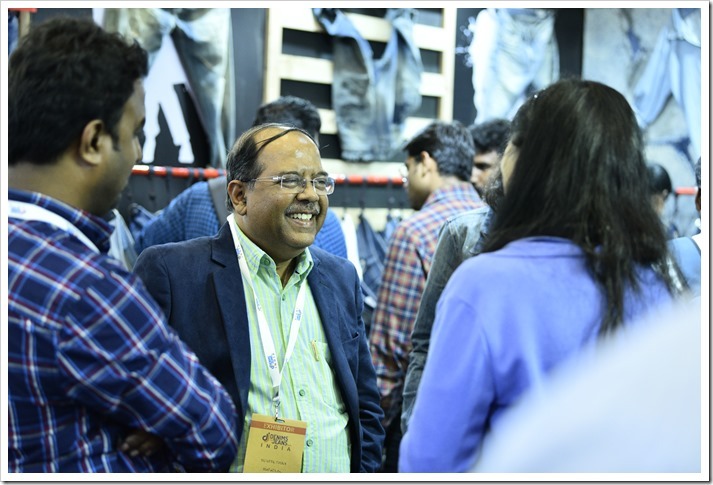 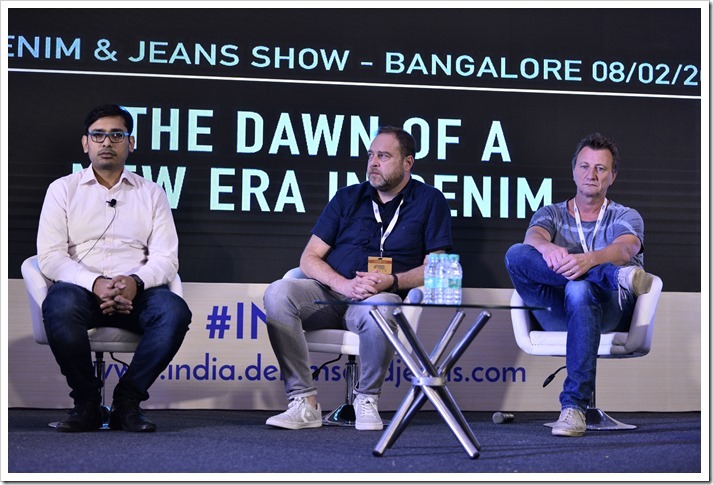 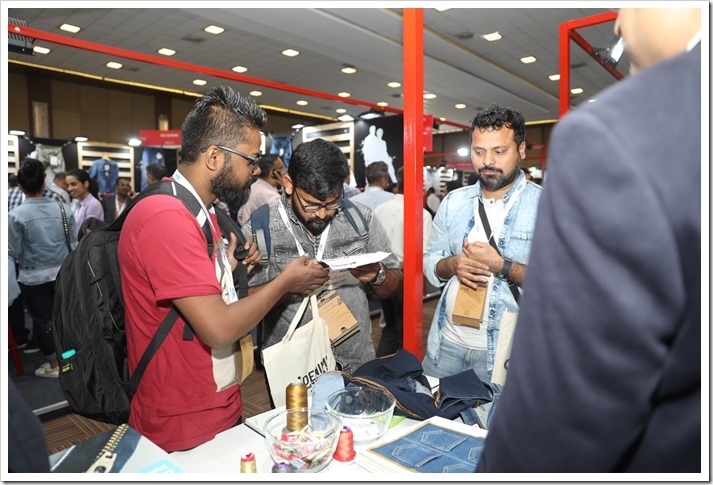 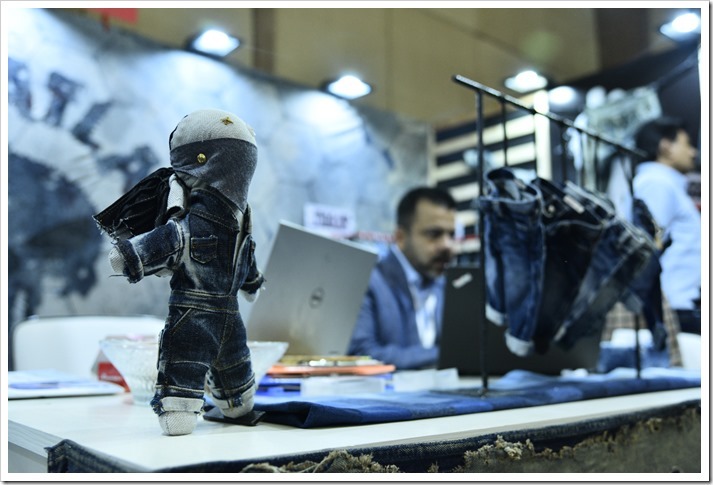 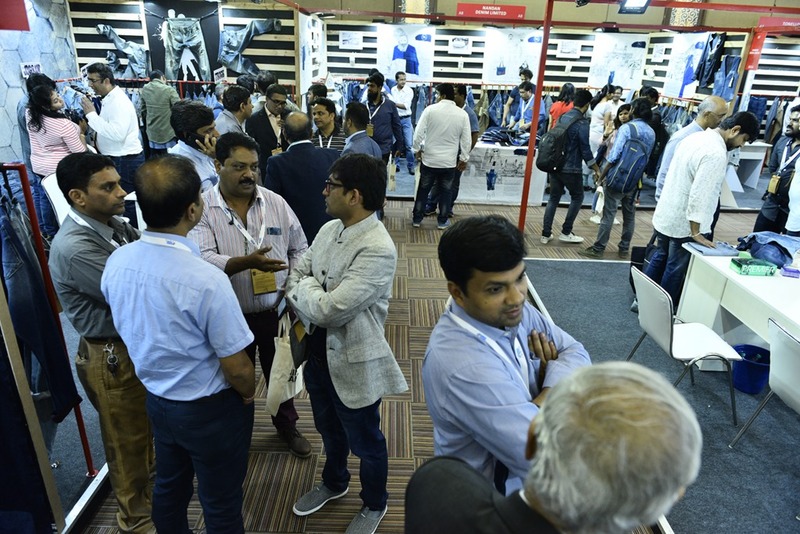 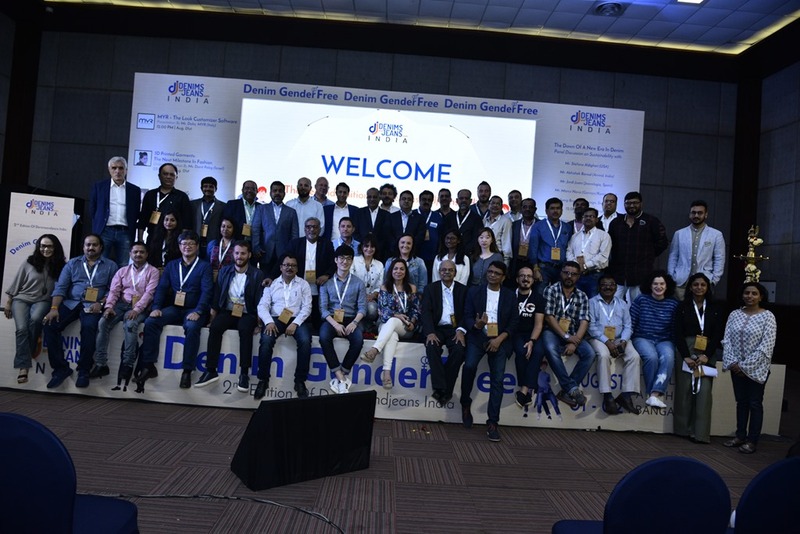 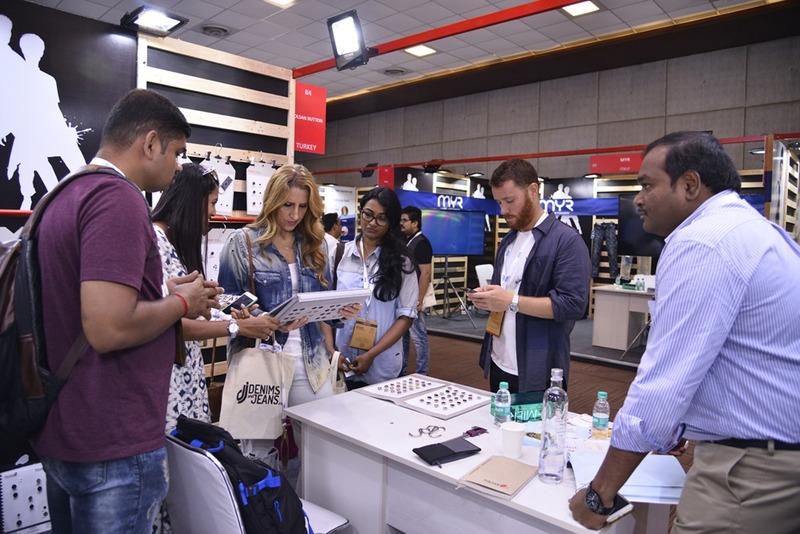 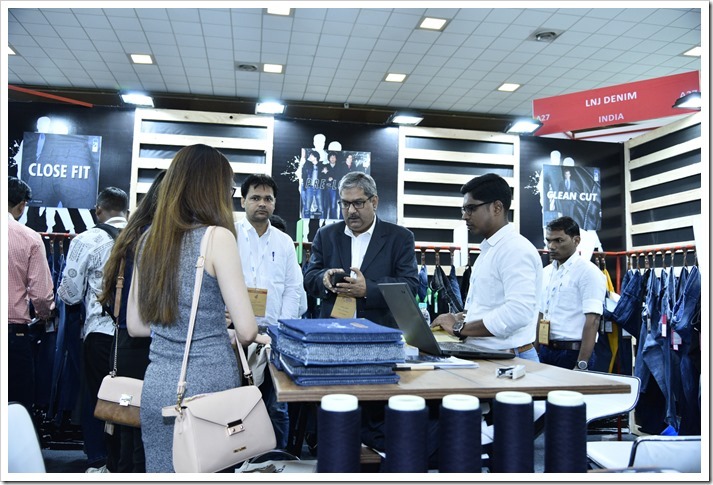 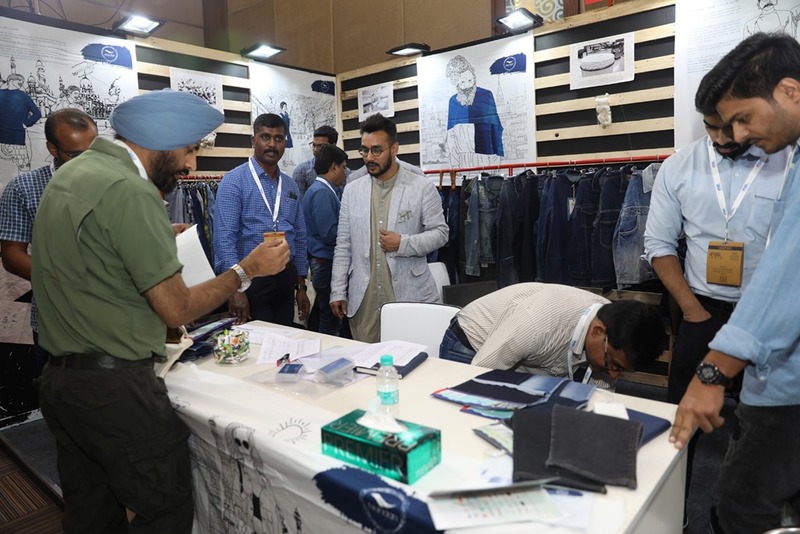 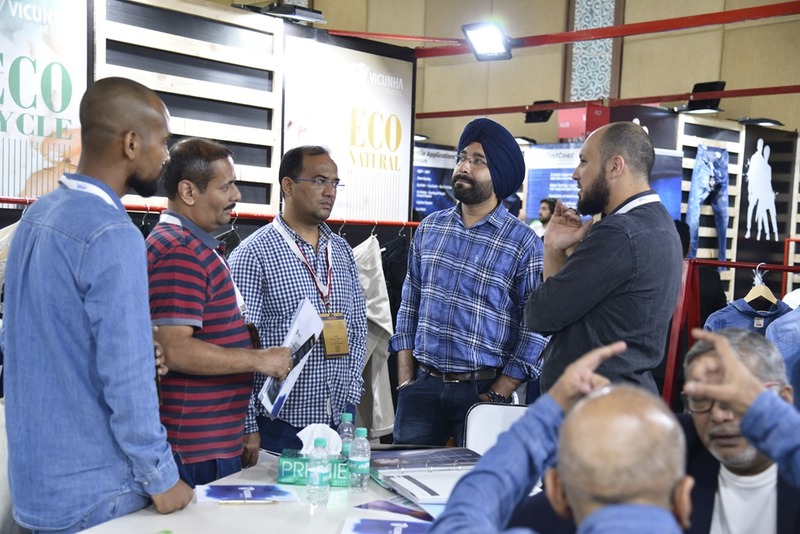 With over 1850 visitors from over 365+ companies from India and overseas at this two days of International Denim Supply Chain show, Denimsandjeans India successfully organized their consecutive editions In India. 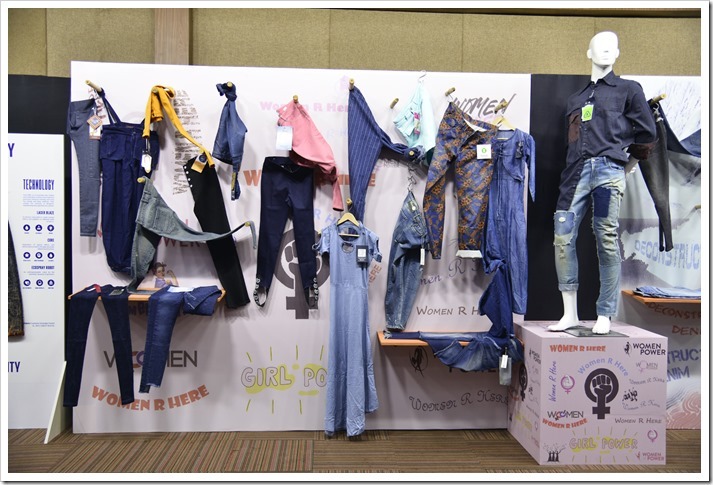 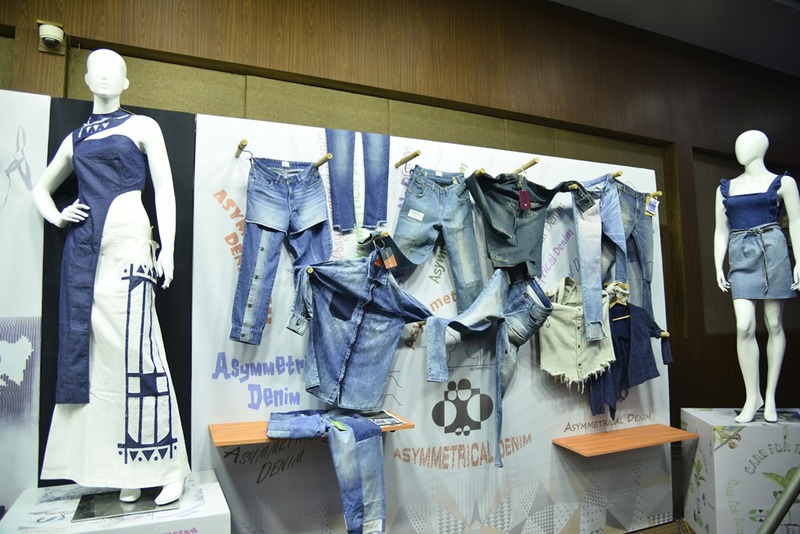 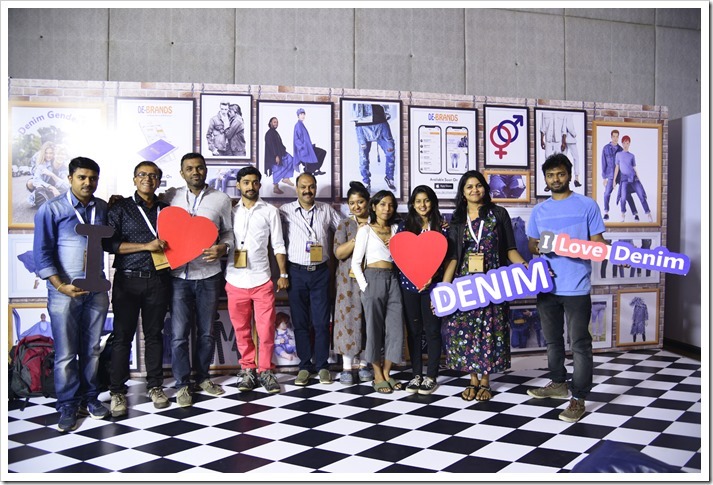 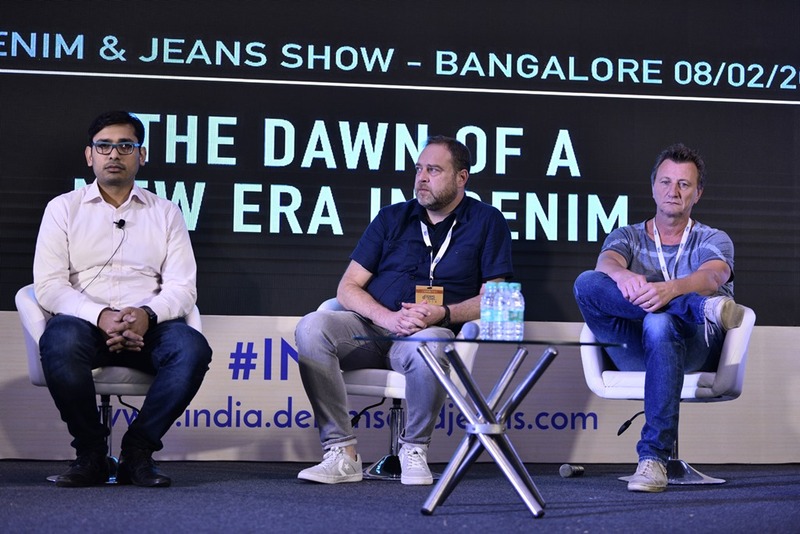 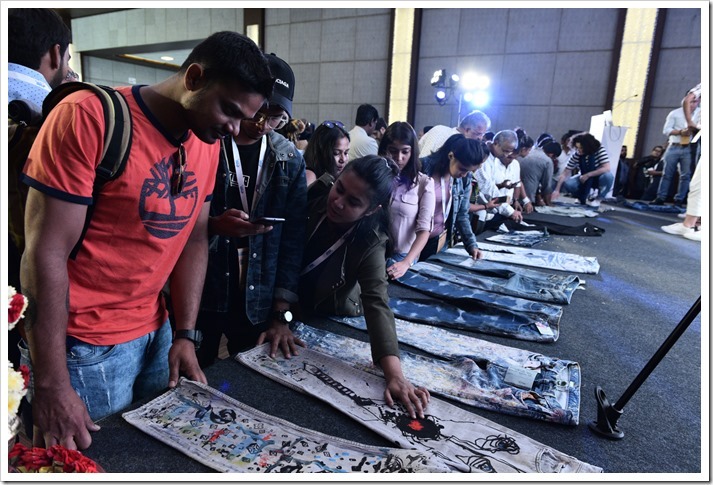 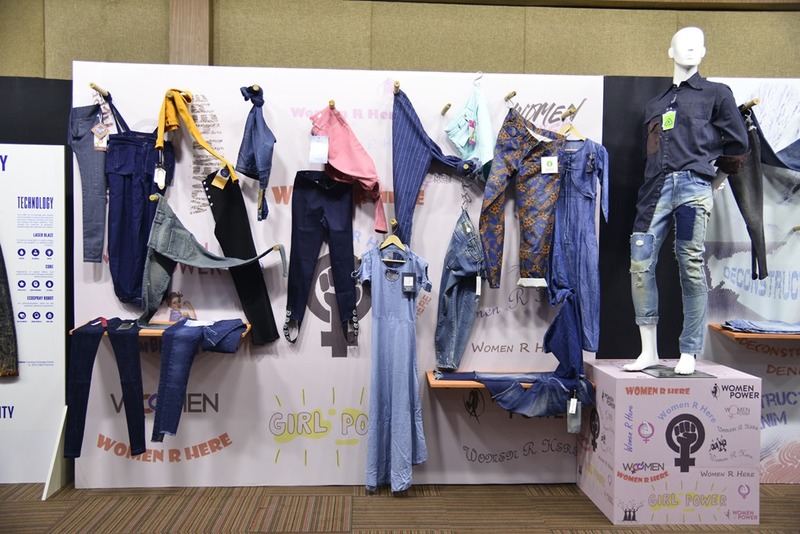 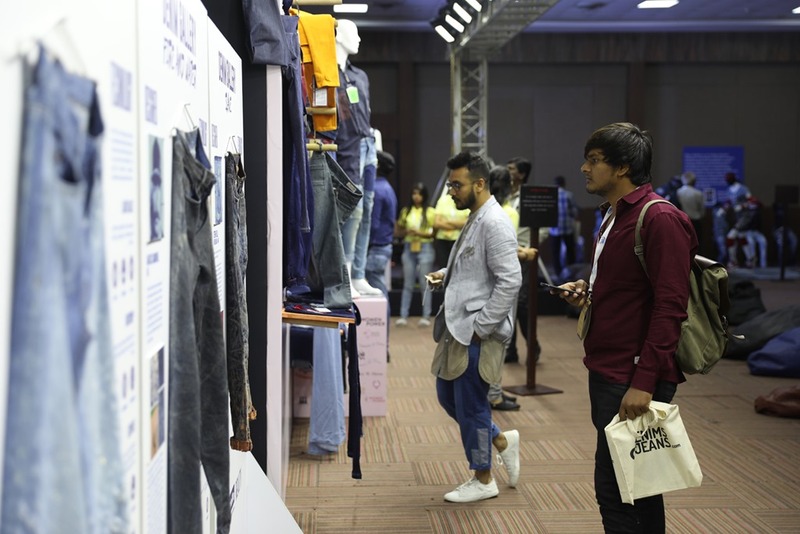 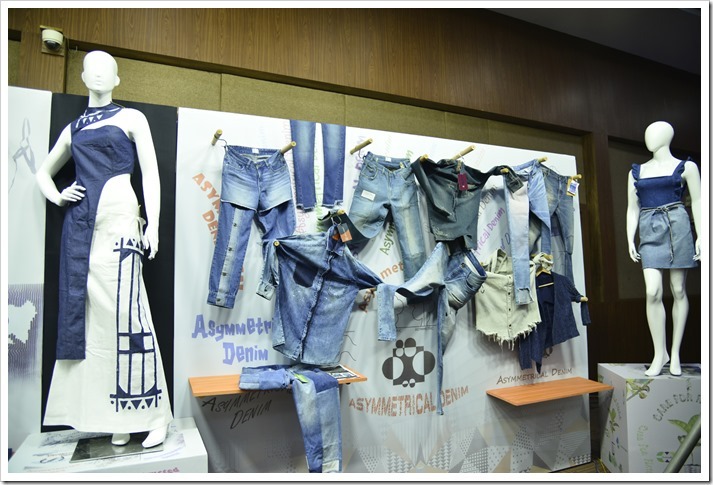 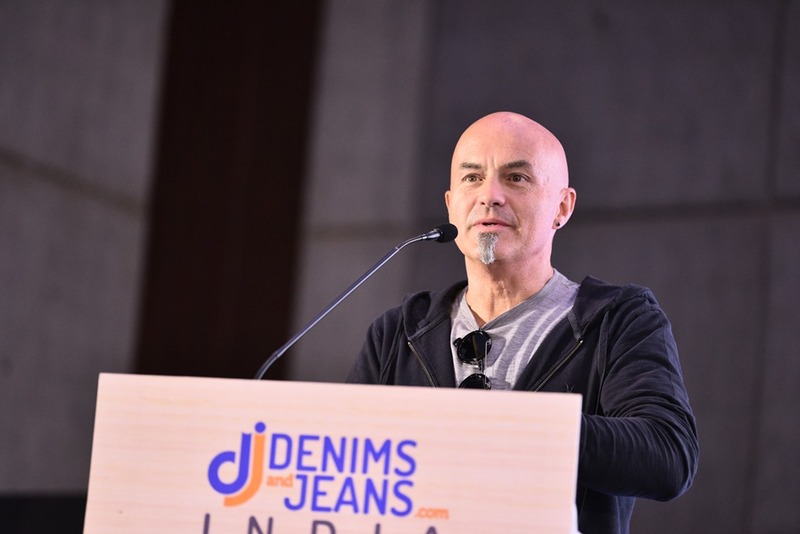 The 2nd edition of Denimsandjeans India was the 12th show of the Denimsandjeans which has been doing International Denim shows in other parts of the world as well. The organisers had just finished their 3rd edition of Vietnam show on June 28 at Ho Chi Minh City , which was again a successful event . 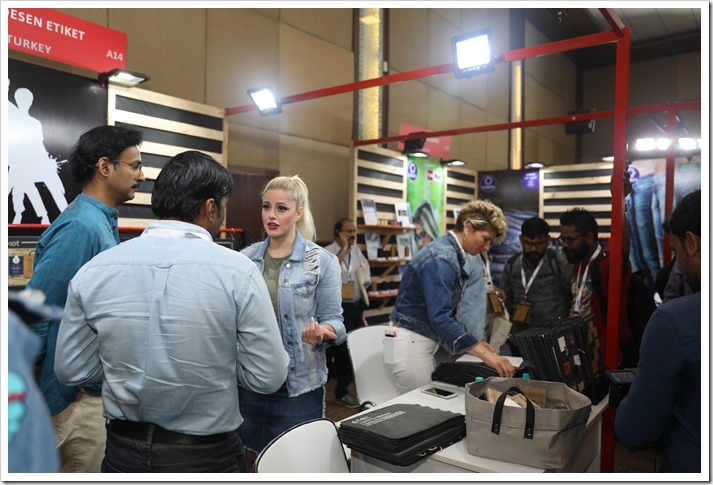 This edition has witnessed 40 exhibitors from different parts of the words and half of the companies exhibiting at the show were international – from countries like Bangladesh, China, Turkey, Italy, Spain , Netherlands, Singapore, Switzerland , Korea etc. 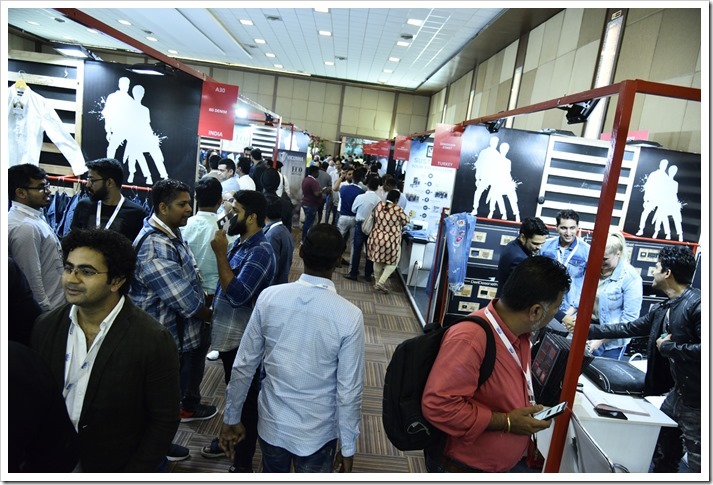 The exhibitor list can be checked here . 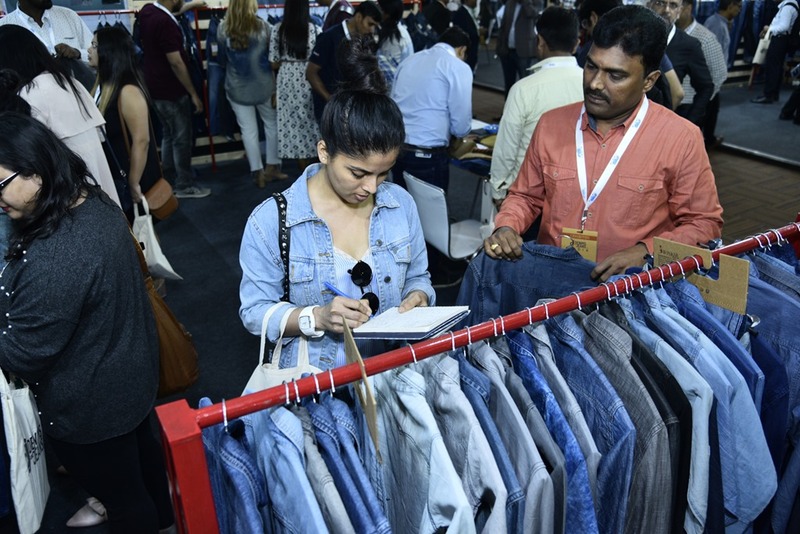 All the major retailers and brands including H&M, Marks & Spencer, VF Corporation (all major divisions) , Landmark Group , Future Group , Future Retails , Naygard, Li Fung , GAP Inc , Zara , Tesco , Pepe Jeans , Killer Jeans , Spykar , Target , Benetton , Shopper Stop , Reliance Trends , Myntra , Hypercity Retail, ITC Limited , Indus Clothing, VOI Jeans, Saint Blue ,Mothercare ,Levis, C&A ,PVH, Being Human, Blackberry, Jabong, Pantaloons, FFI, Ajio, Westside, Asmara India , Asmara Bangladesh , Bestseller , Impulse, Ostin , Mufti, Aditya Birla Fashion, Arvind Brands, Raymonds Apparels, Newtimes, etc visited the show. 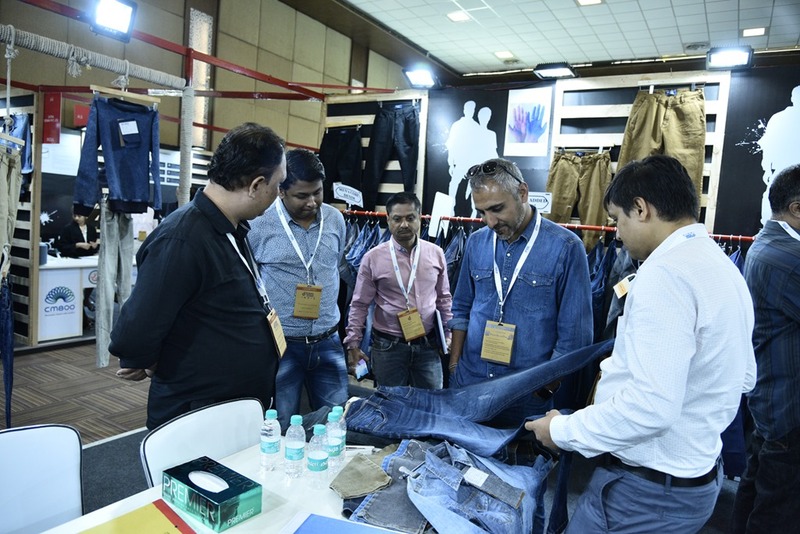 Some of the most reputed factories and exporters including Orient Craft, Gokaldas Exports, Shahi, Garden City Fashion, Trigger Apparels, Famous Fashion also checked out collections with their teams. 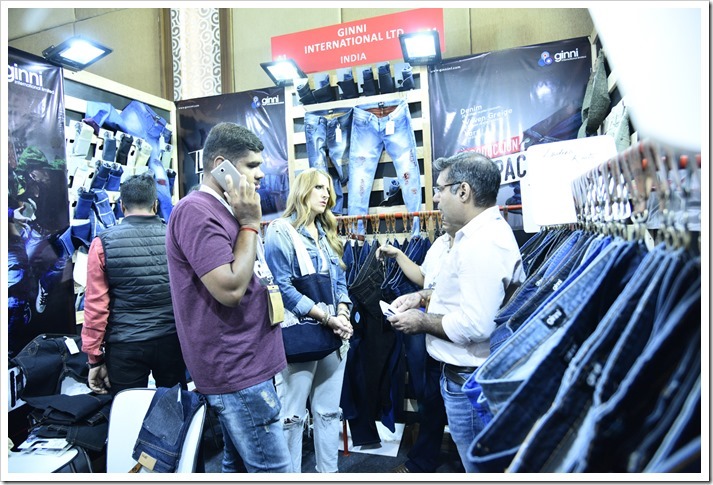 Many tier I and tier II brands along with big fabric dealers and distributors have also marked their presence at this show thus providing a complete basket of buyers to the exhibitors . 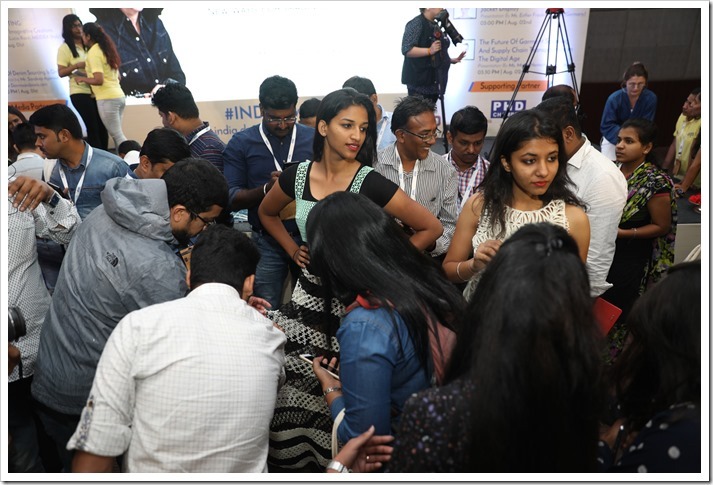 This way, people travelled from all over the country to attend the show besides some foreign buyers who were also drawn in. 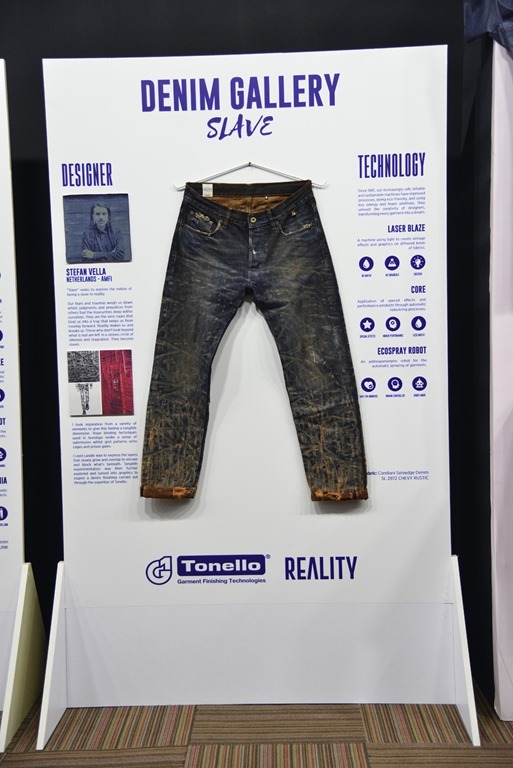 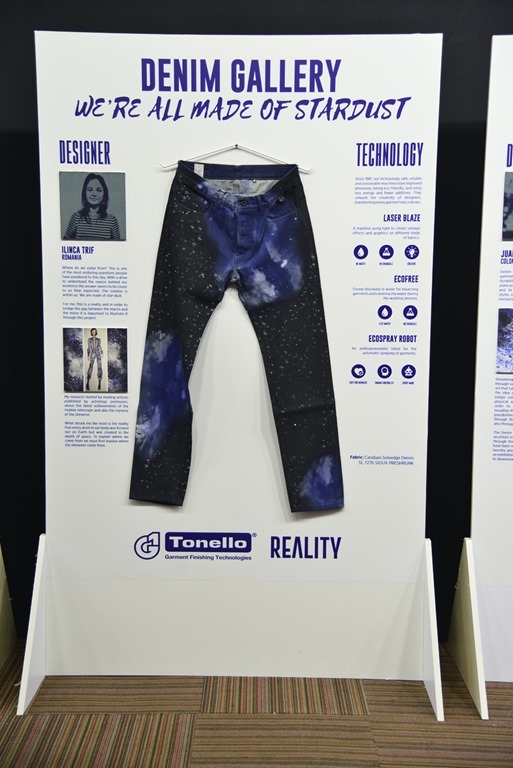 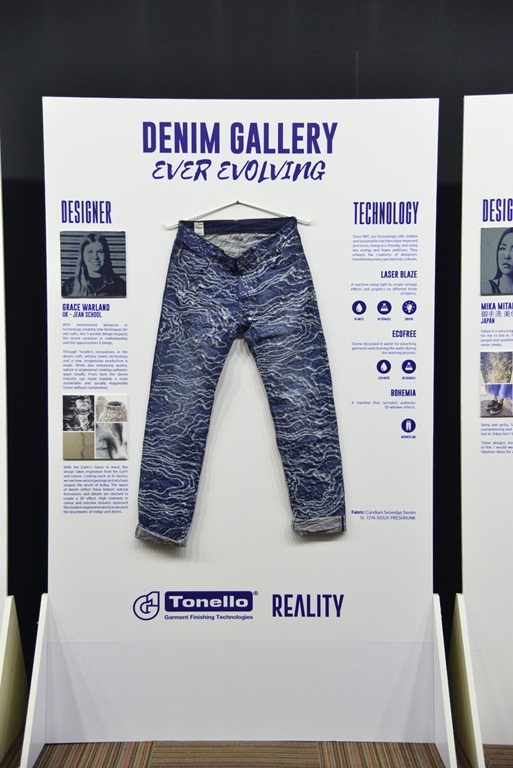 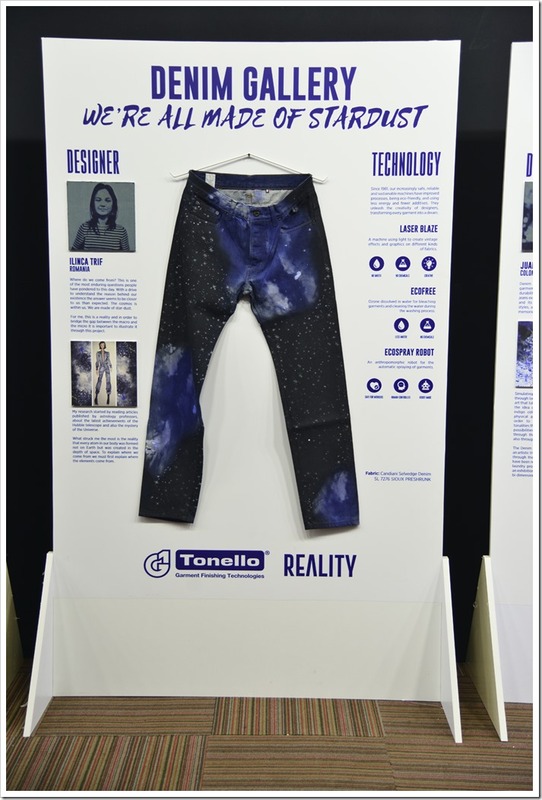 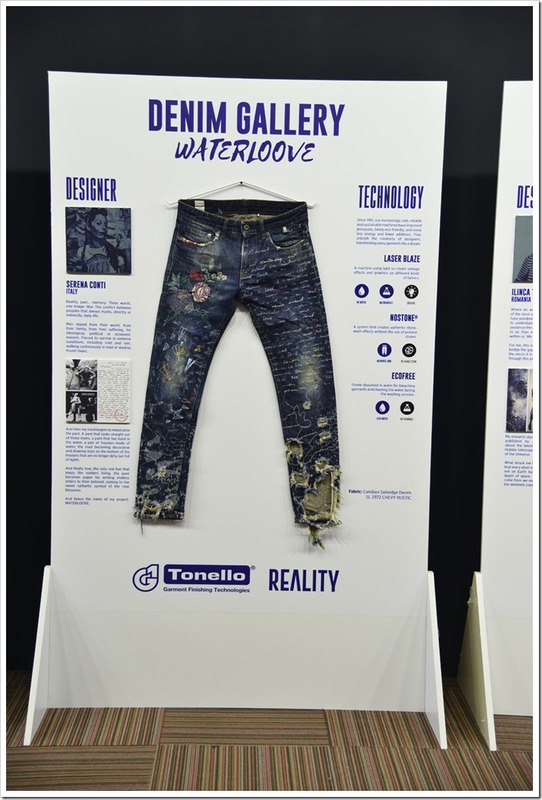 Besides, Tonello presented their Denim Art Gallery at the show . 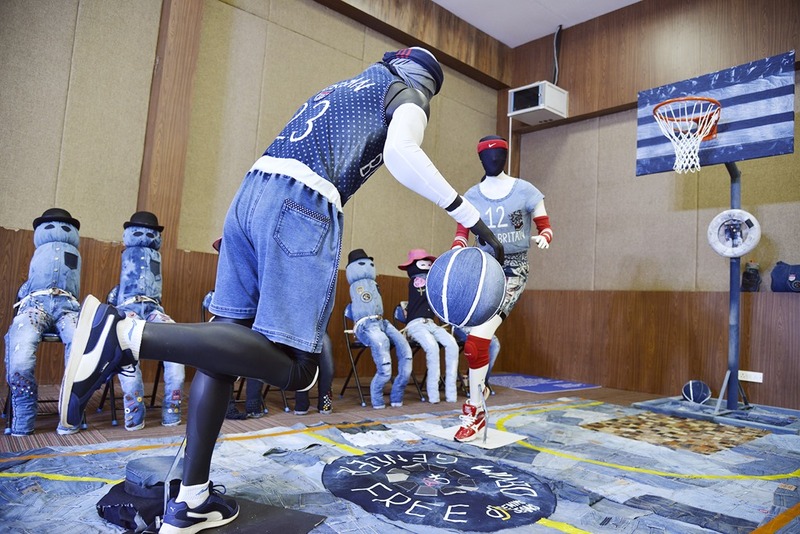 An Indian designer – Bipin Nahak – created the first Denim Basketball court to coincide with the Denim Genderfree theme. 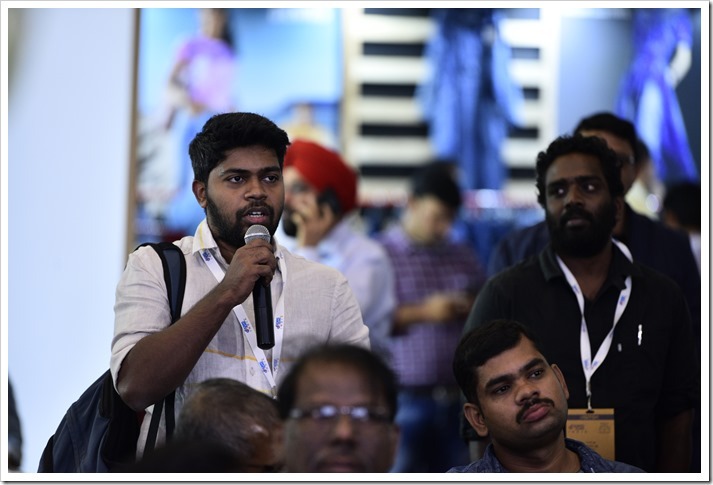 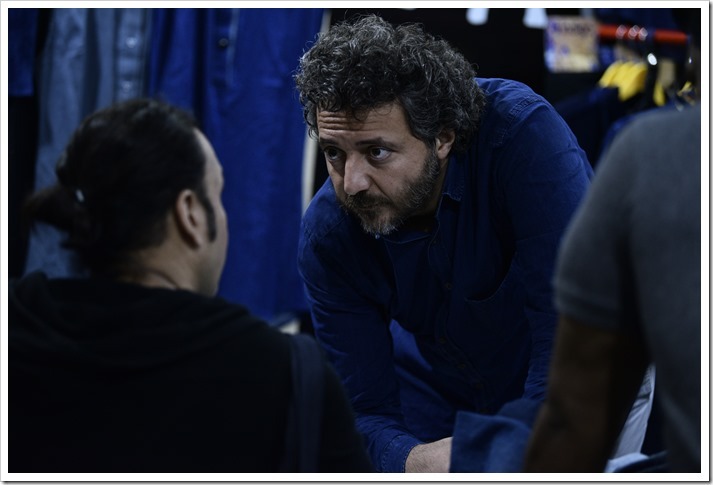 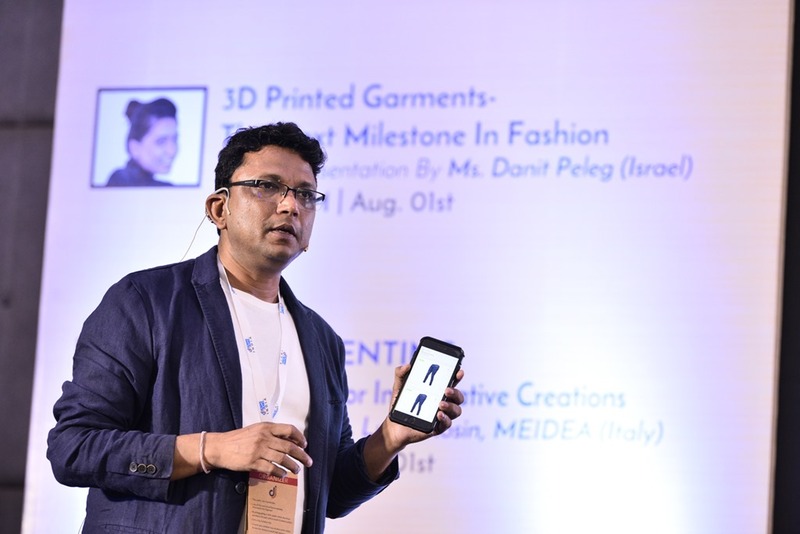 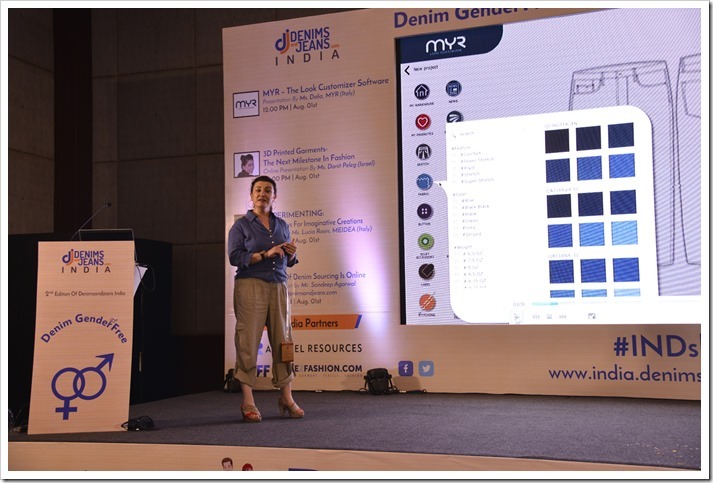 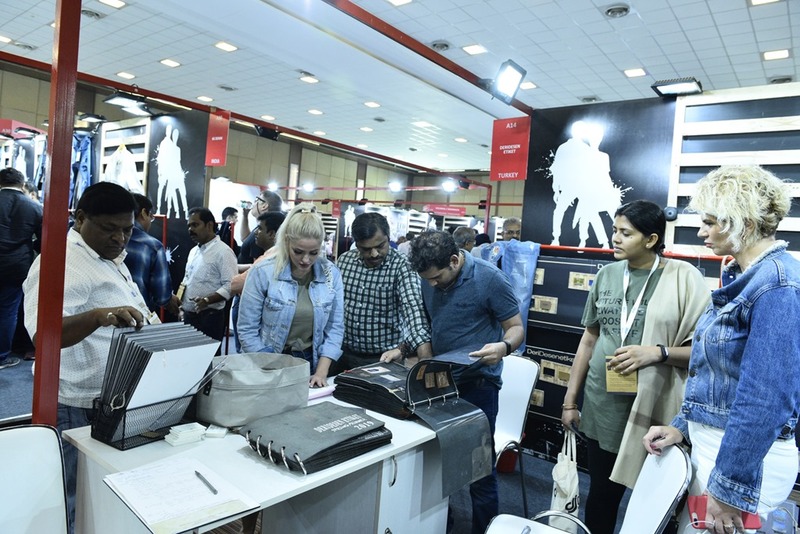 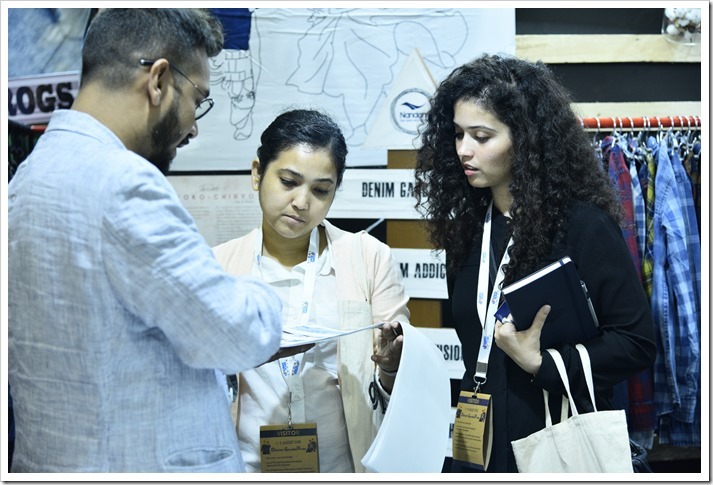 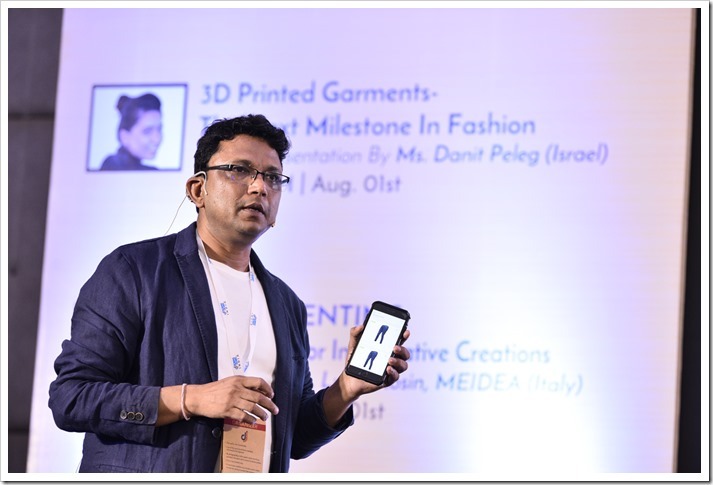 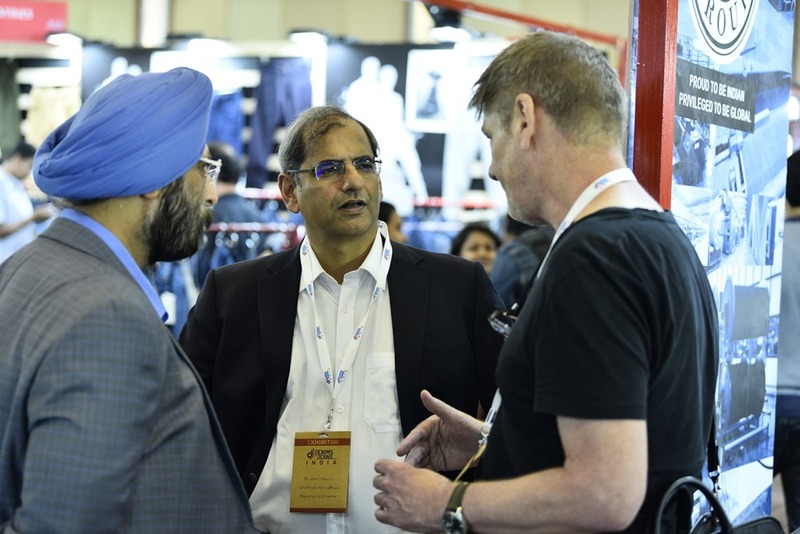 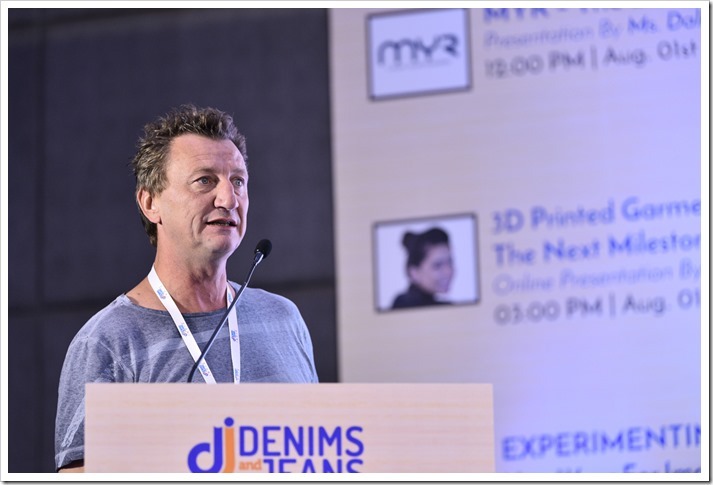 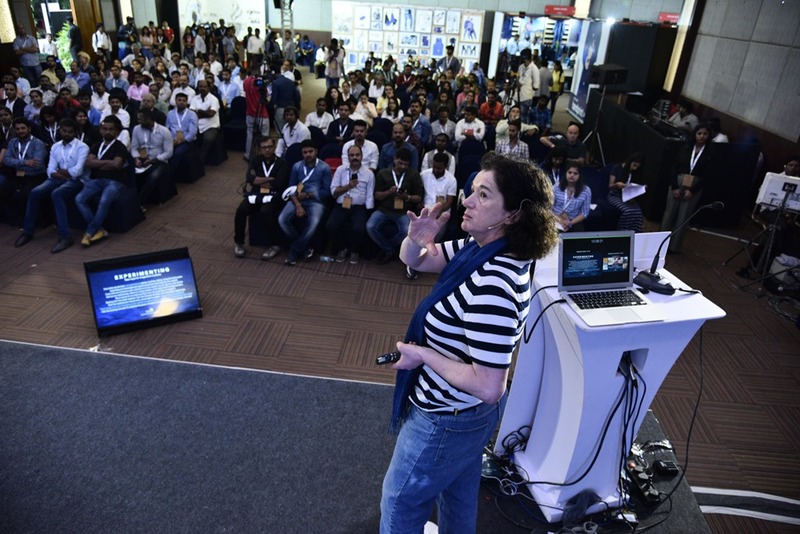 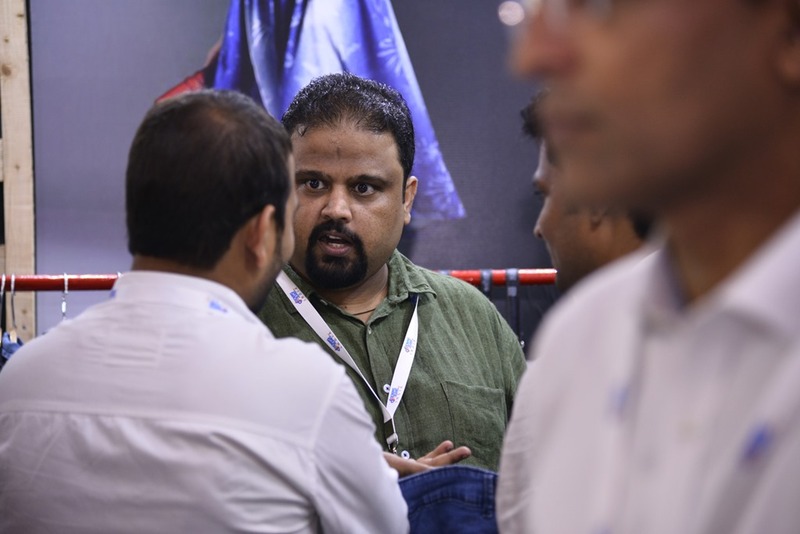 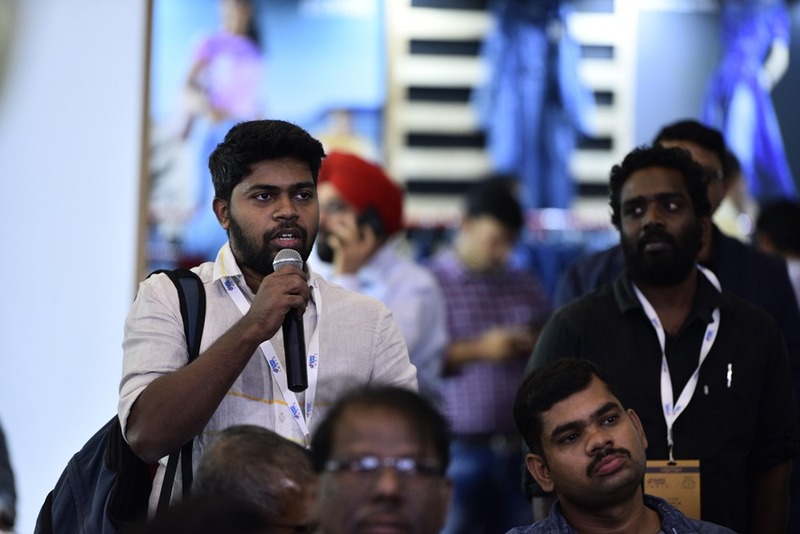 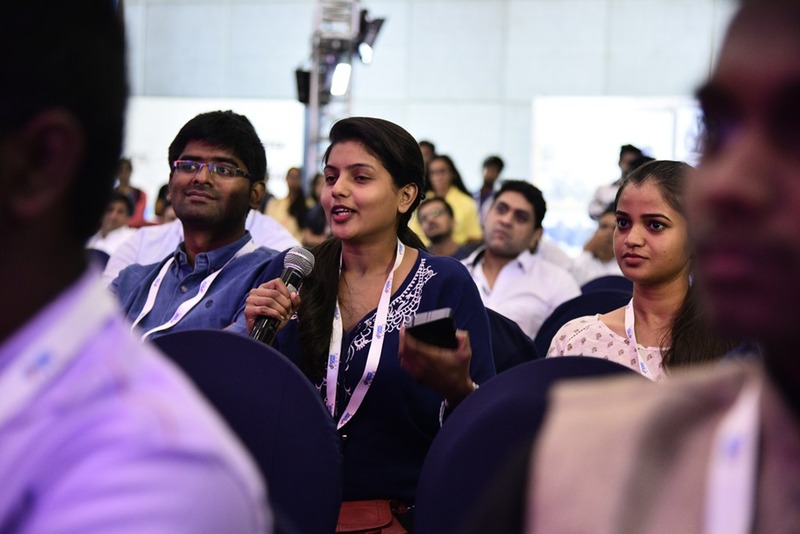 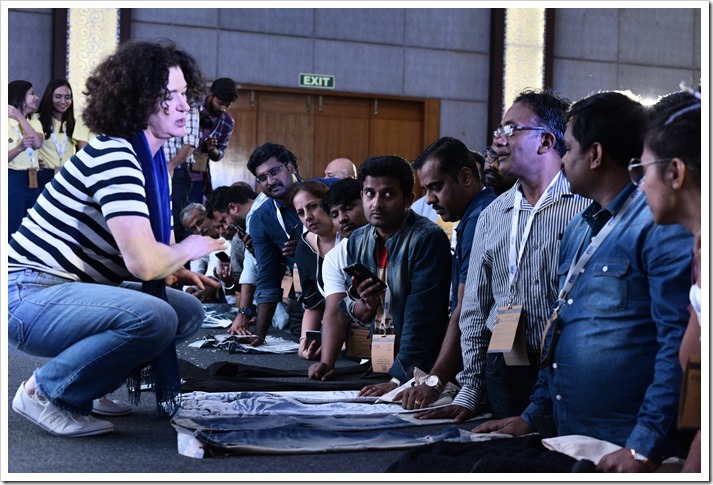 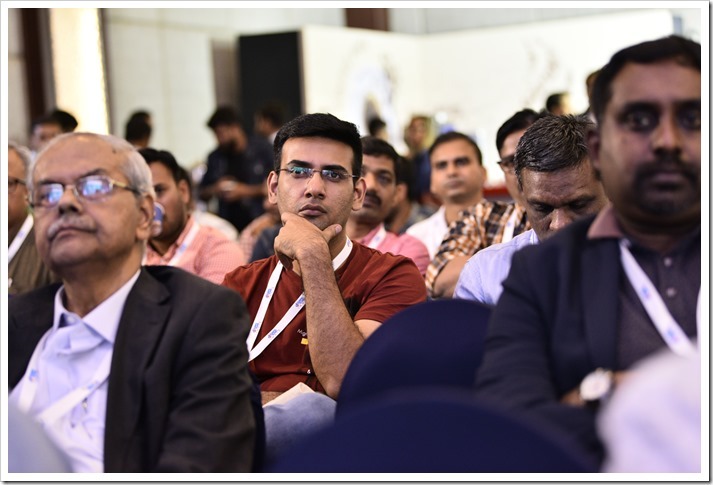 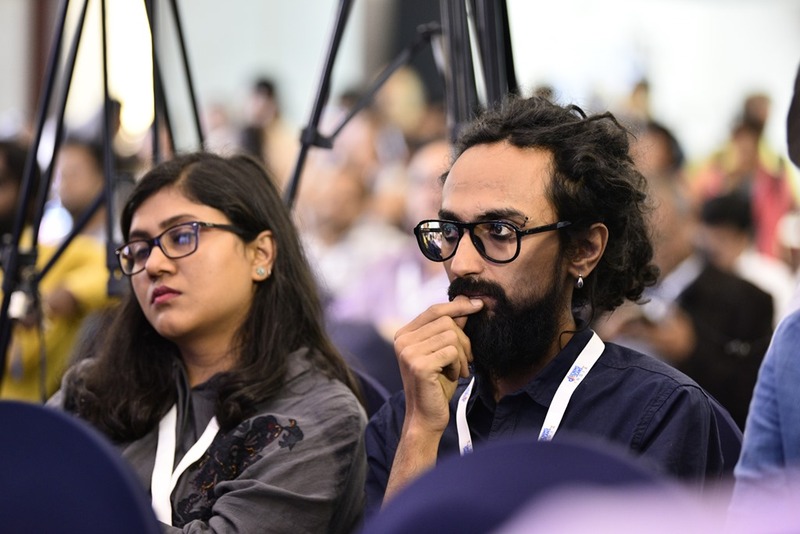 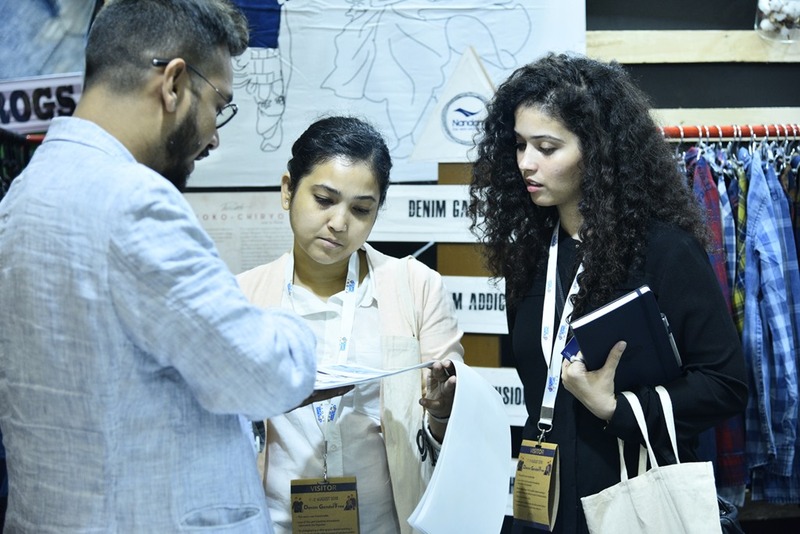 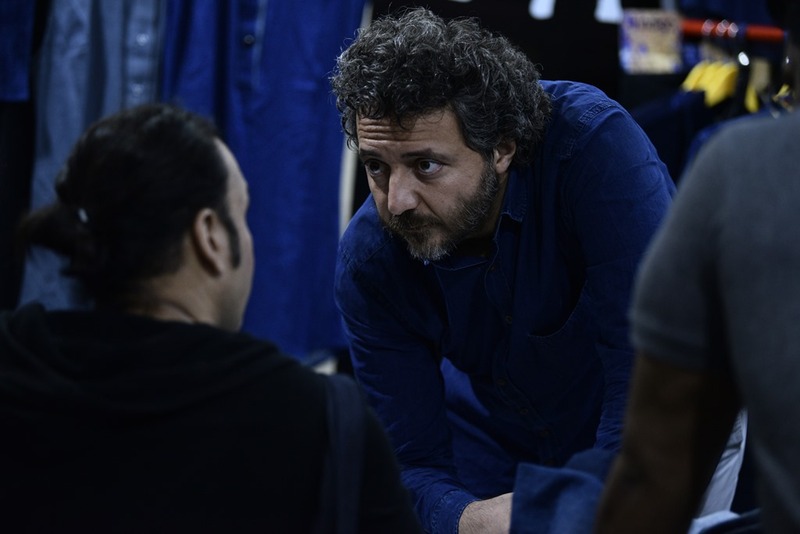 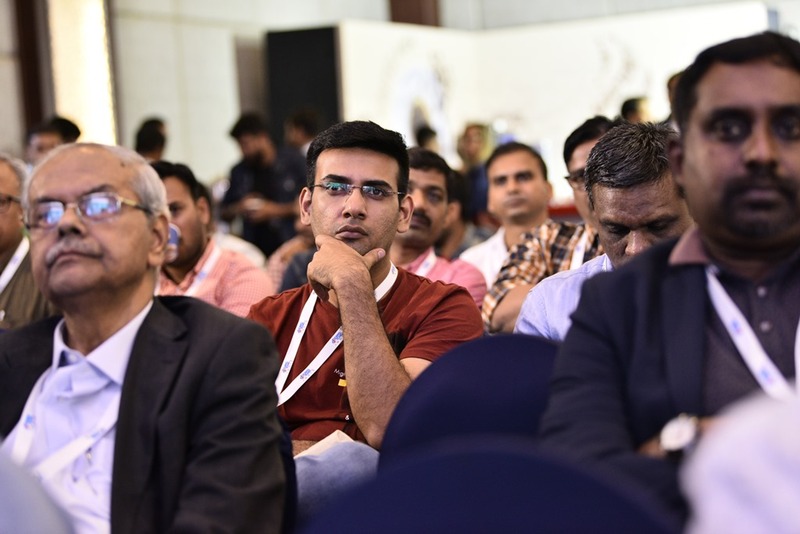 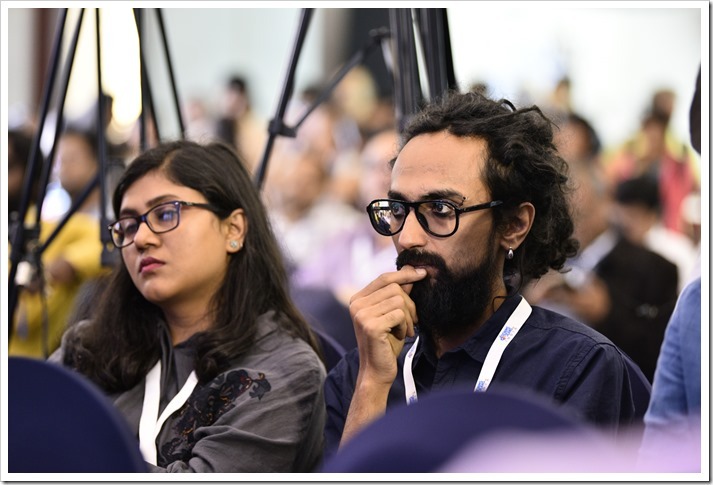 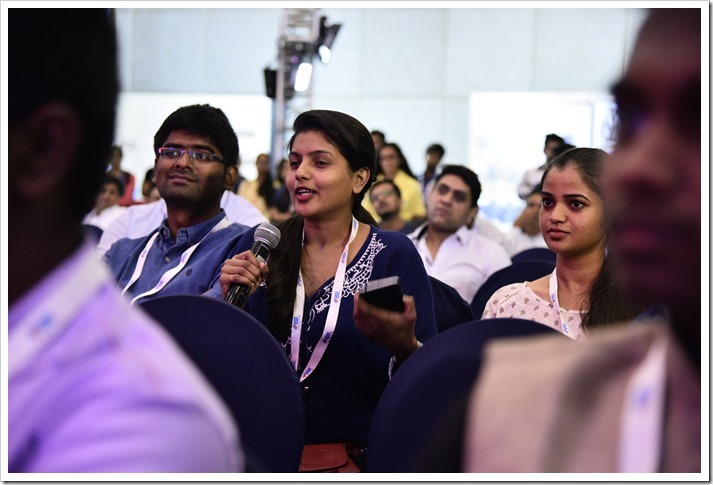 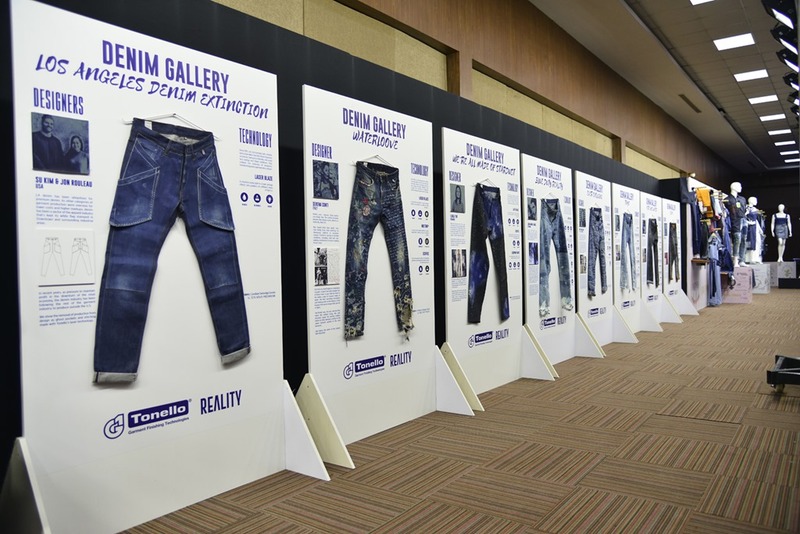 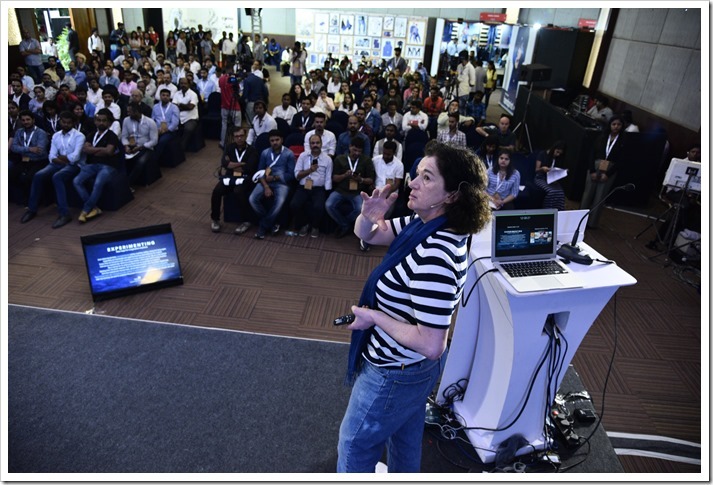 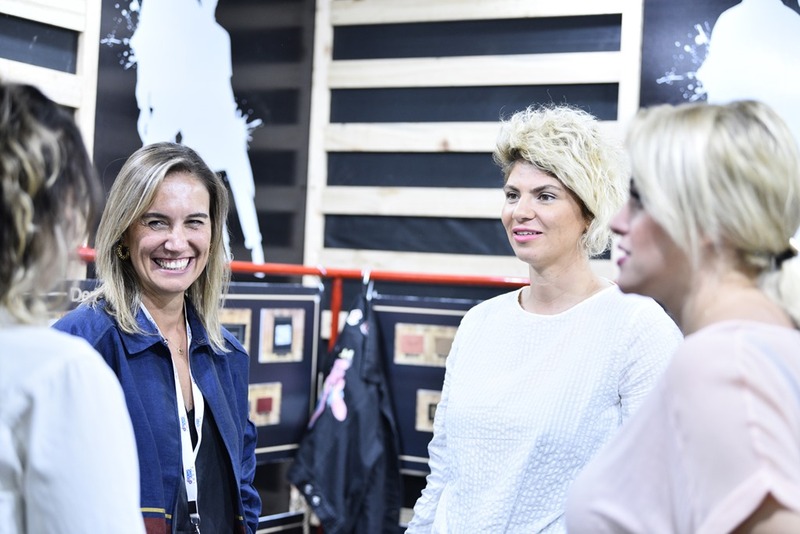 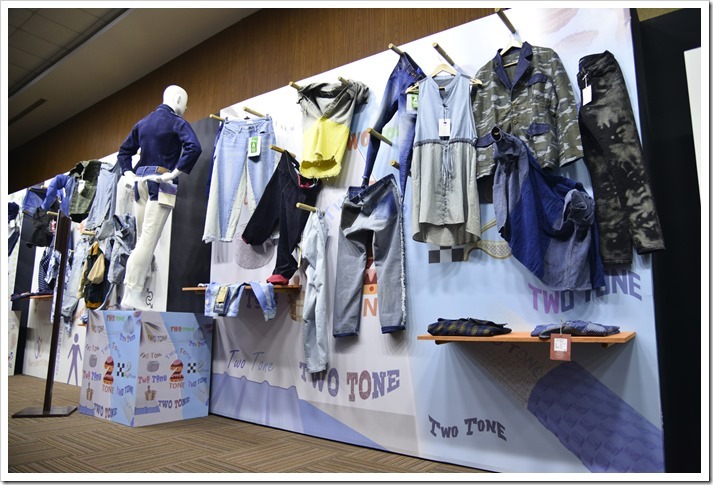 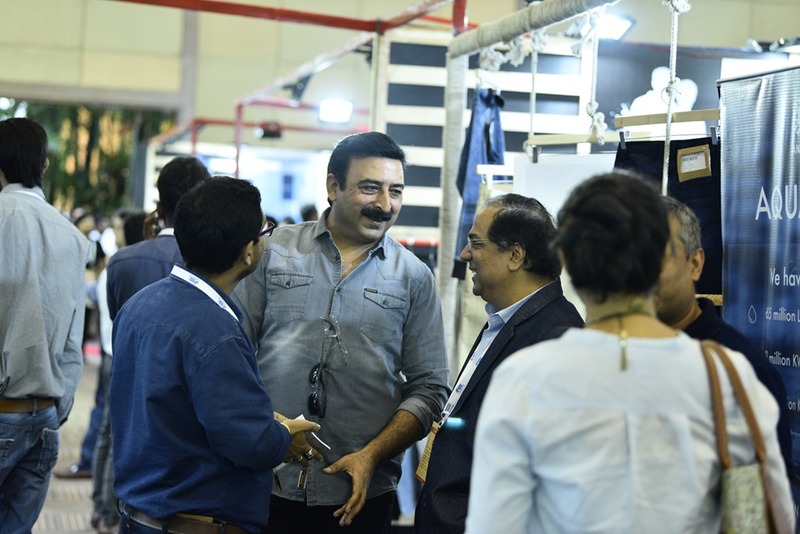 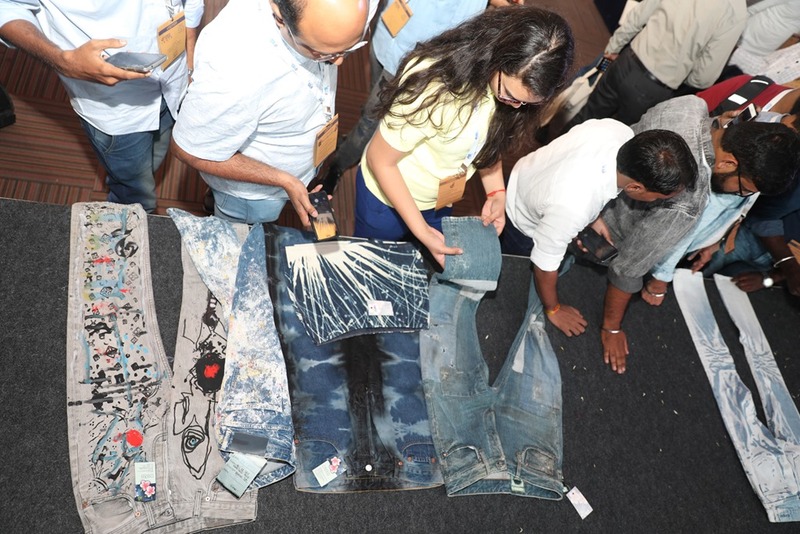 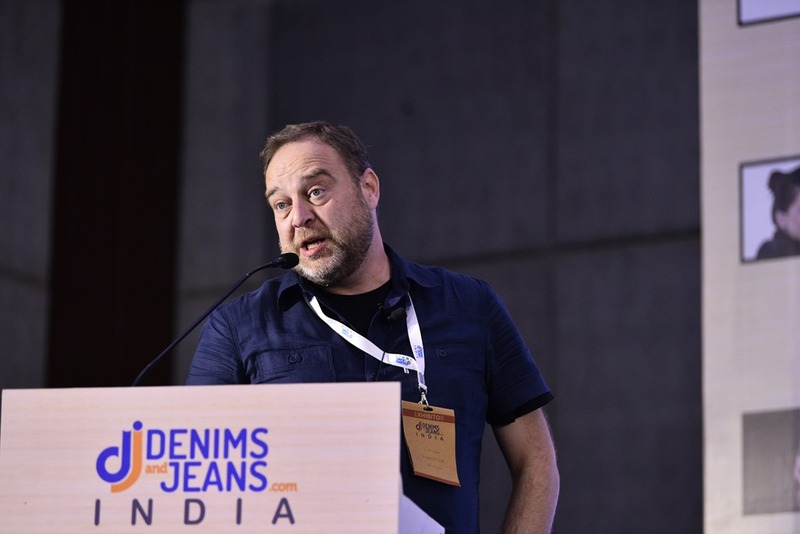 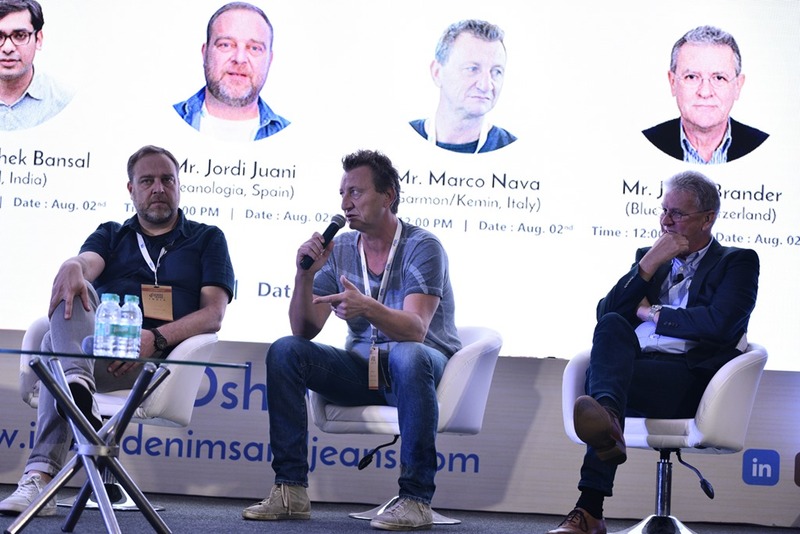 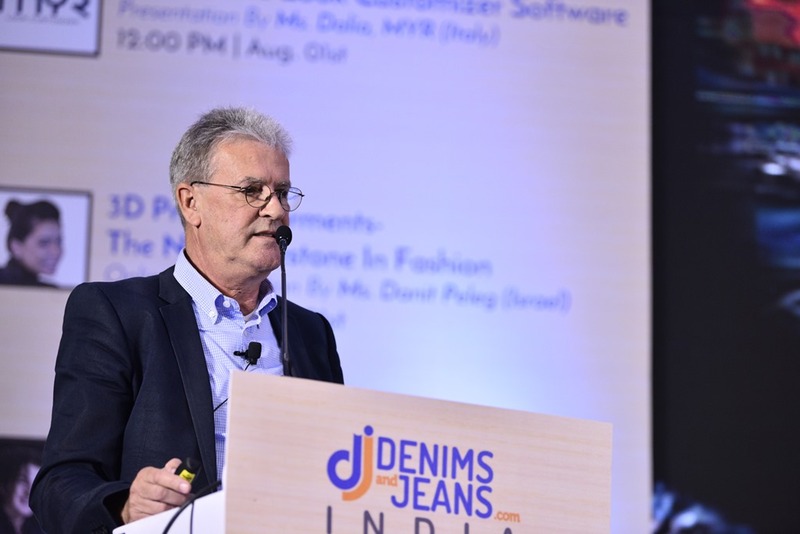 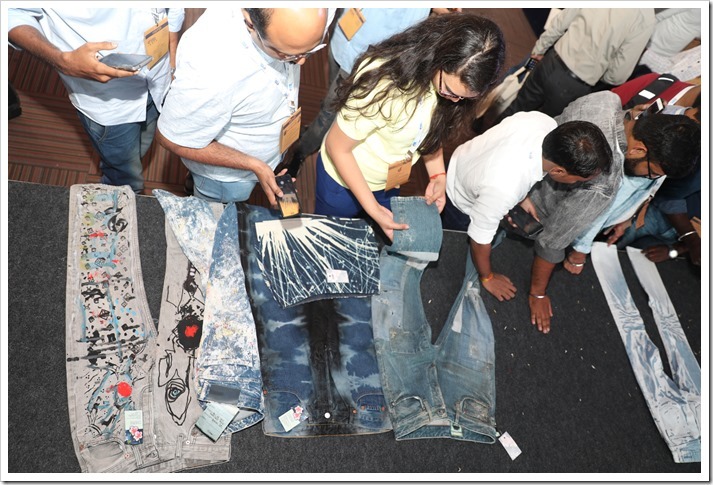 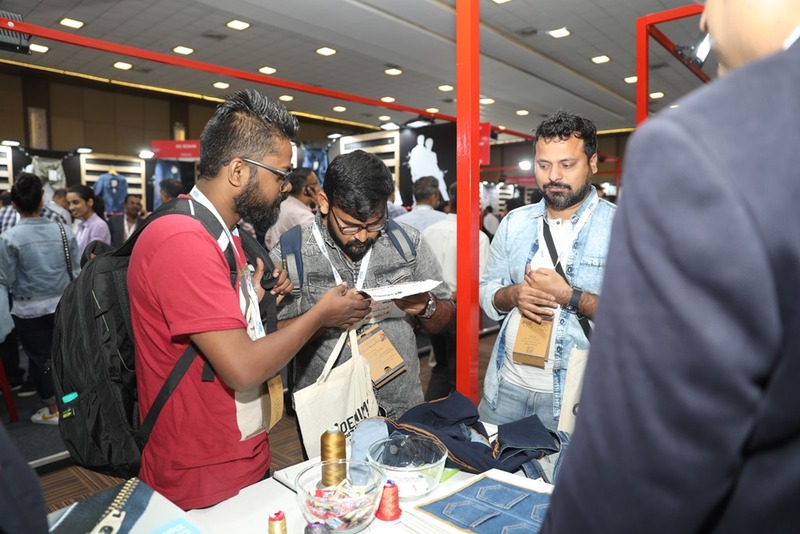 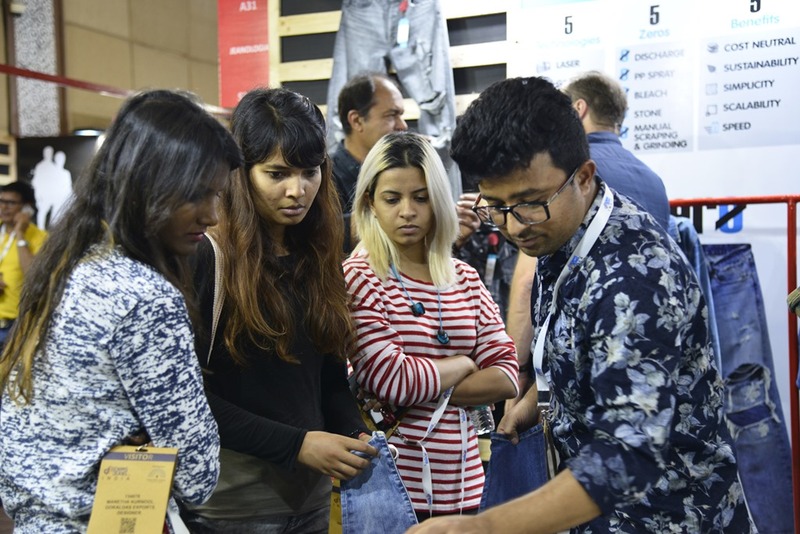 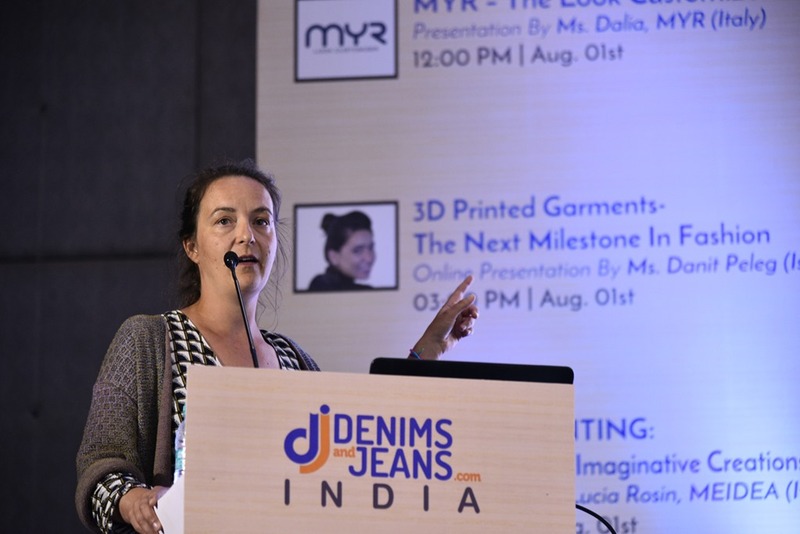 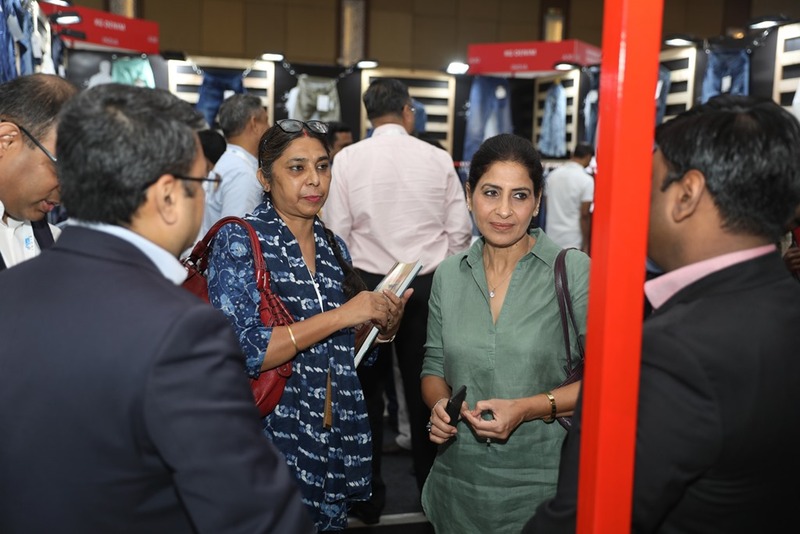 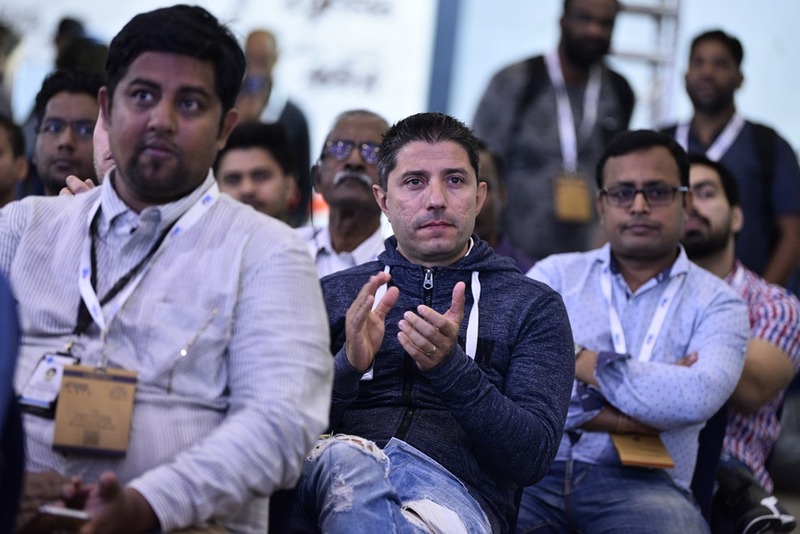 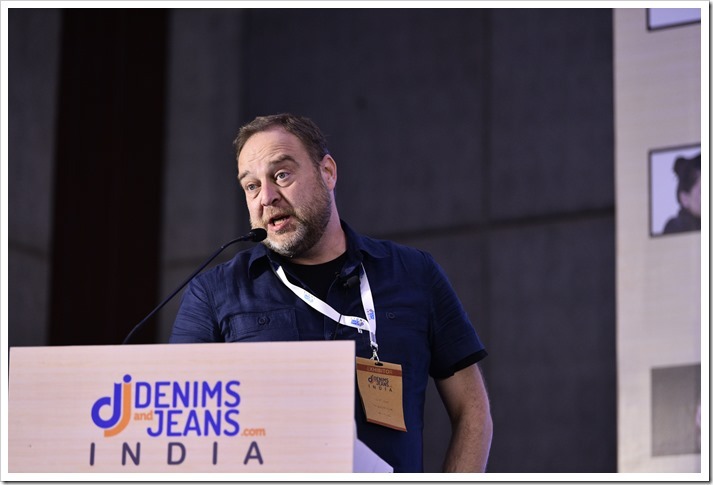 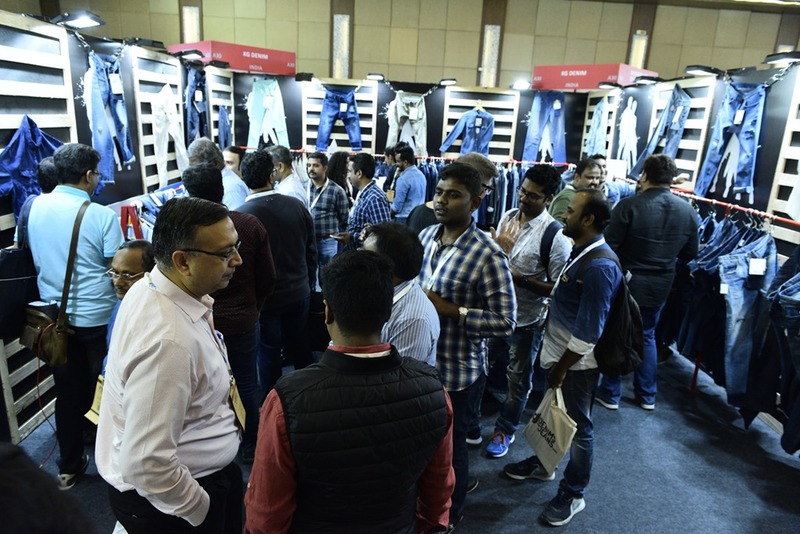 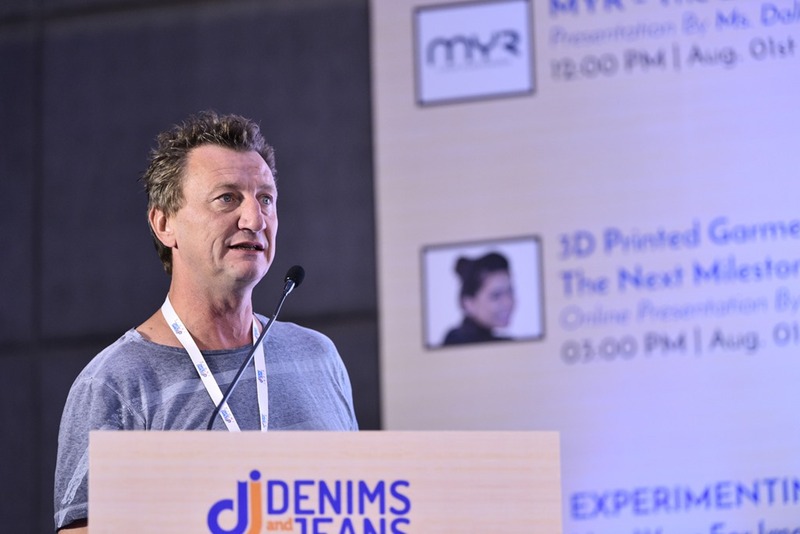 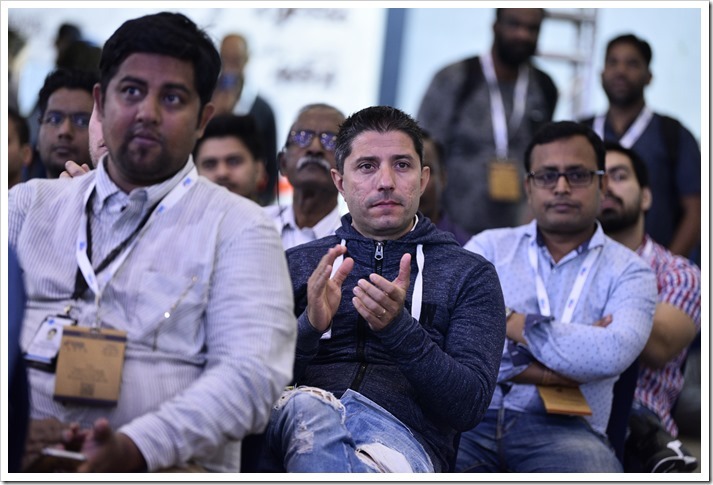 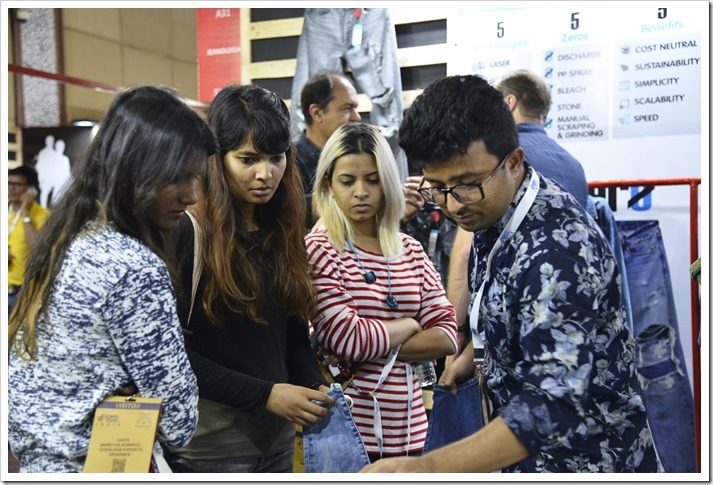 Apart from the routine exhibition, the show had 6 Knowledge transfer session where some of most popular Denim experts and Innovators participated and share the latest developments with the exhibitors and visitors of the show.. 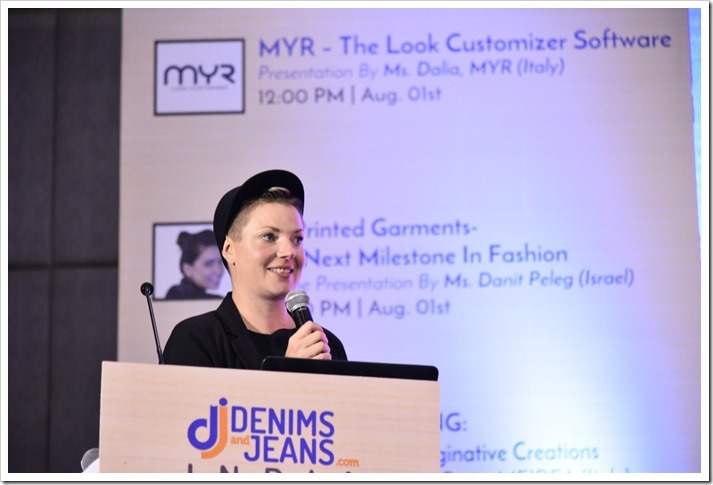 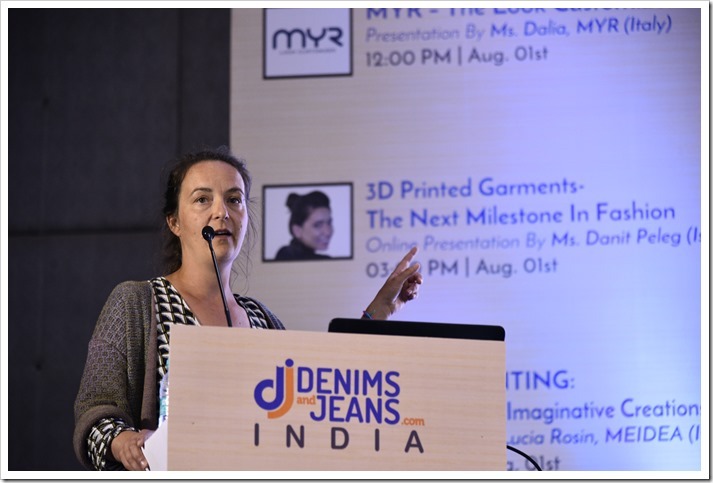 Presentation By Ms. Dalia, MYR(Italy) : MYR is a digital project dedicated to fashion design and fashion designers, conceived by Mr. Umberto Brocchetto with a 30 year experience in the fashion industry and in enriching fabircs, Denim among all. 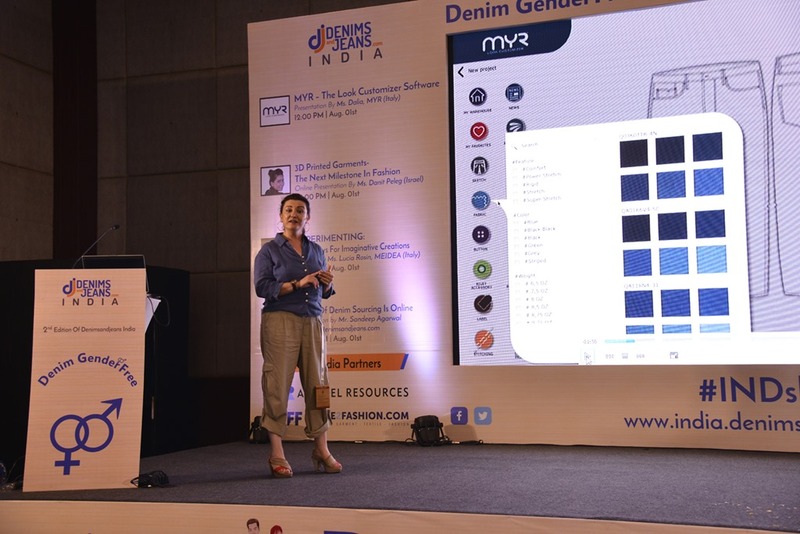 Ms Dalia presented the new software created for the industry . 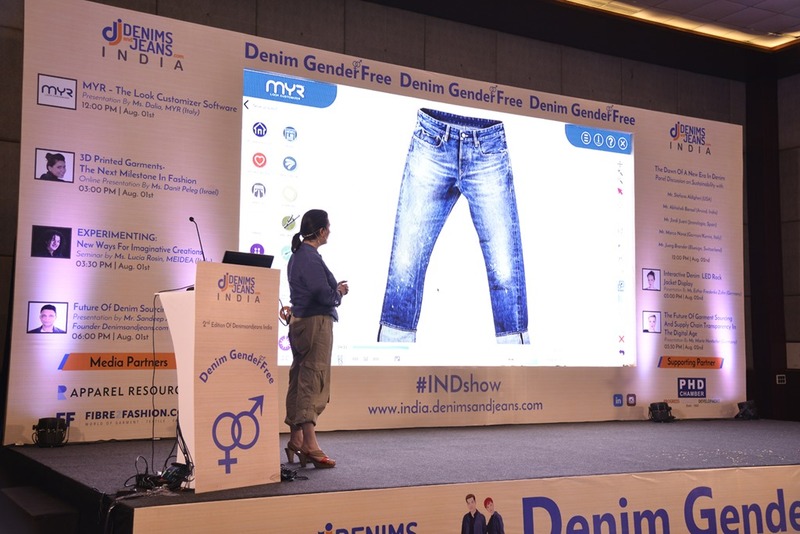 The direct FB telecast of her presentation can be seen here. 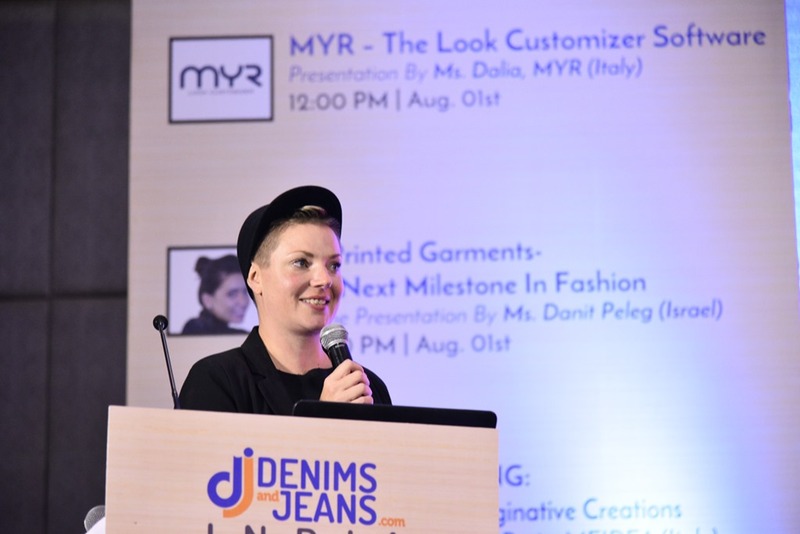 Presentation By Ms. Esther Friederike Zahn Esther is a Berlin-based Fashion and E-Textile Designer.She gained an extensive experience in the area of FashionTech. 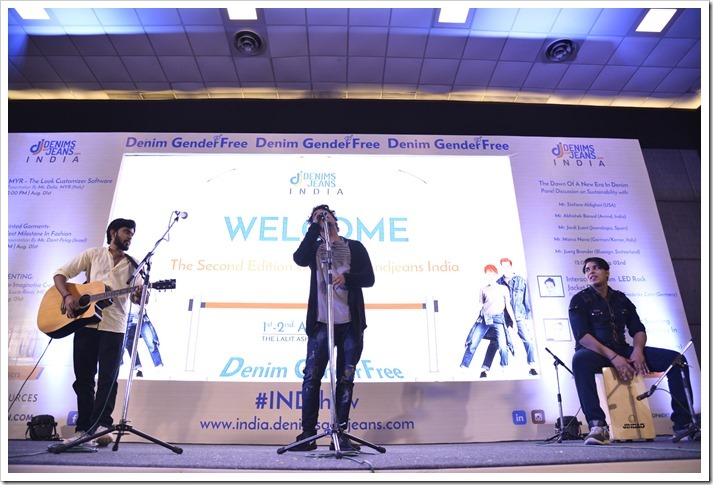 An interesting display of her interactive Denim LED jacket by a musician directly playing from the jacket had the audience enthralled ! . 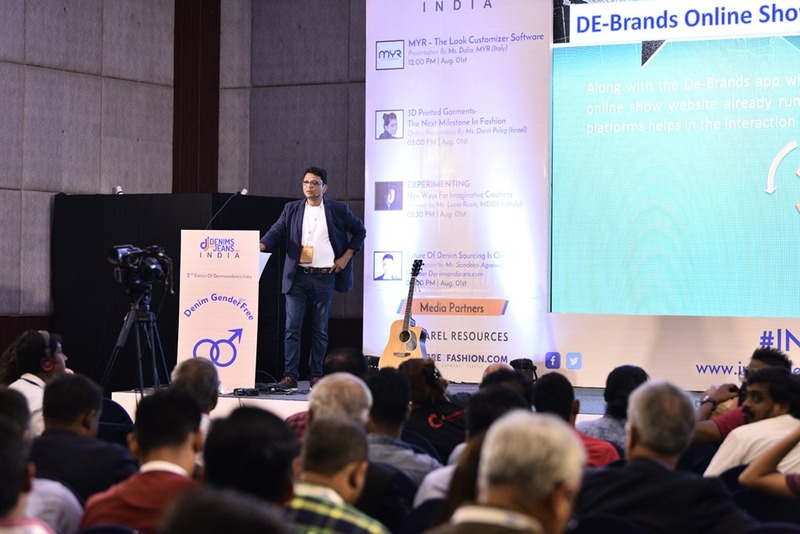 The direct FB telecast of his presentation is here . 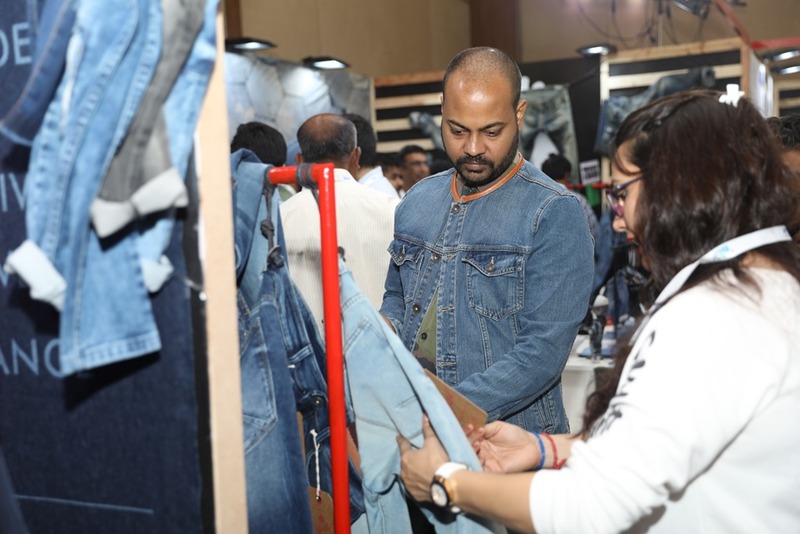 Tonello brought their “Denim Gallery” to Denimsandjeans India show at Bangalore. 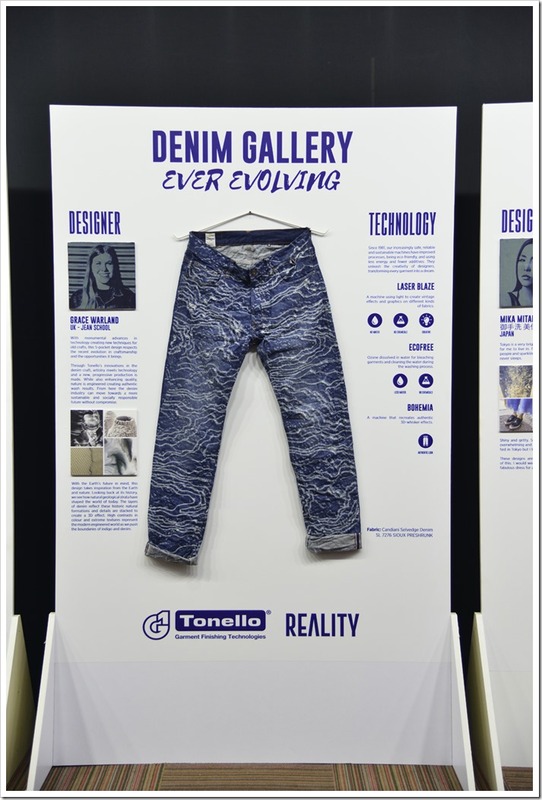 With Denim Gallery Tonello showcased the designs of 10 creative people together to discover new visions and interpretations of reality. 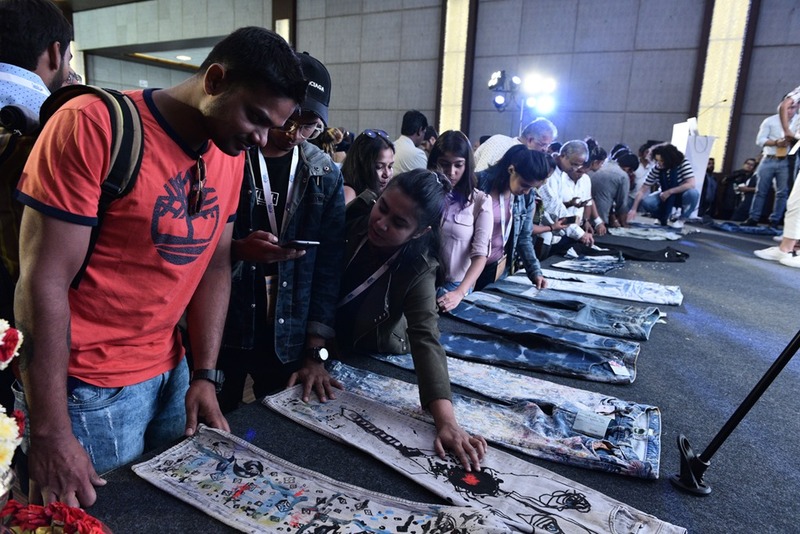 Denim Gallery is a bona fide display of “dreams and visions of reality”, as told by 10 Designers from around the world who have used Denim as their canvas for painting, staining, and assaulting, in order to express themselves with artistic languages, materials, and concepts. 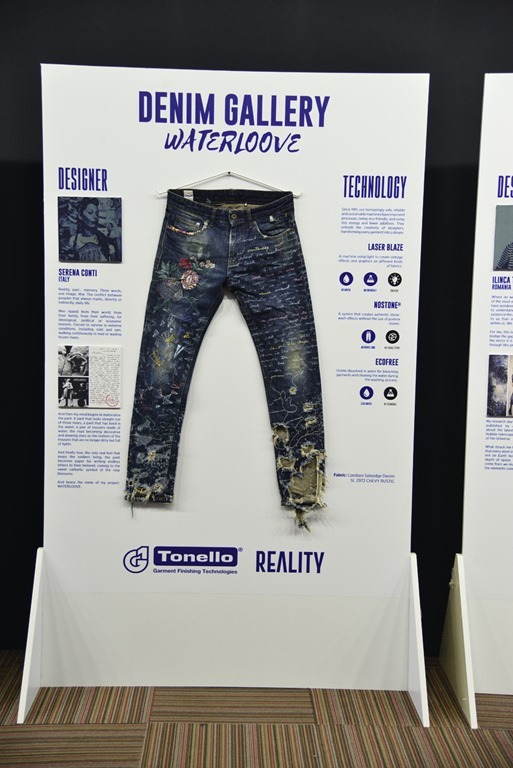 The installation will be one of the important attractions at the show specially for washing nerds ! 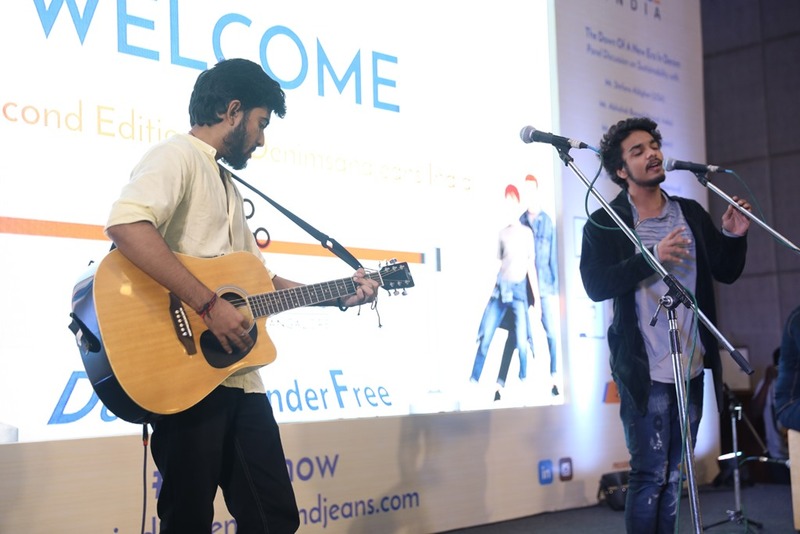 After a hard days’ work, the exhibitors and visitors were able to unwind and relax a bit during the Soulful Musical Evening hosted by a Musical Band from Mumbai. 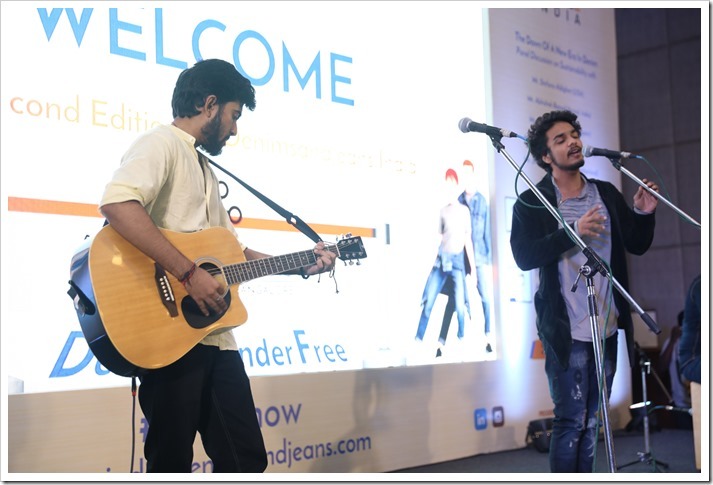 Artists performed some of the most joyful and soothing Bollywood numbers to ease the visitors and exhibitors after a tiring day followed by a networking Dinner. 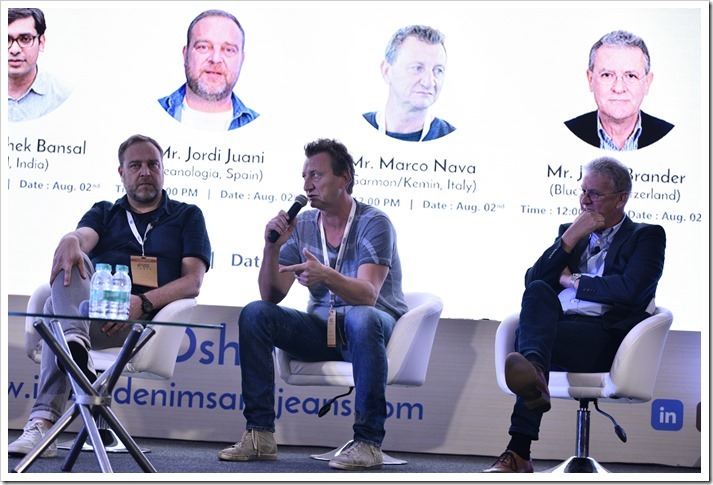 Denimsandjeans India will be back with an another exciting edition next year and will be in more improved and with more innovative concepts . 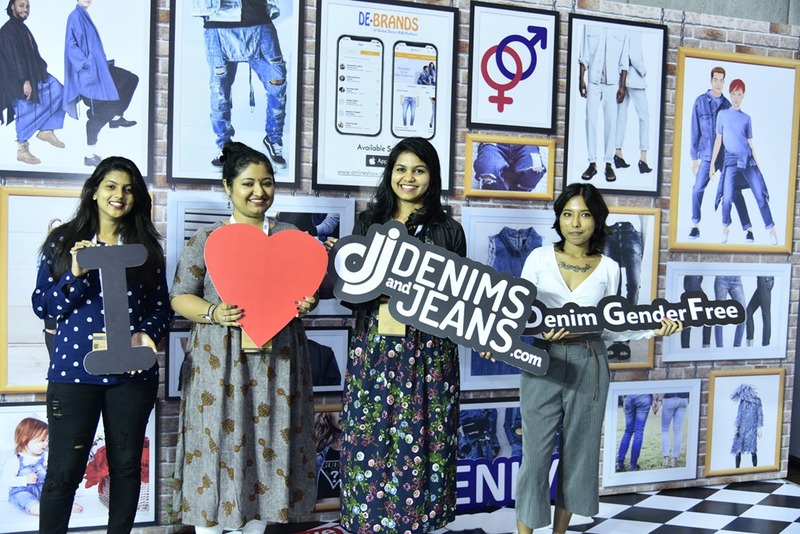 To get the latest updates , please subscribe to our newsletter at Denimsandjeans.com and update your email address in our system. 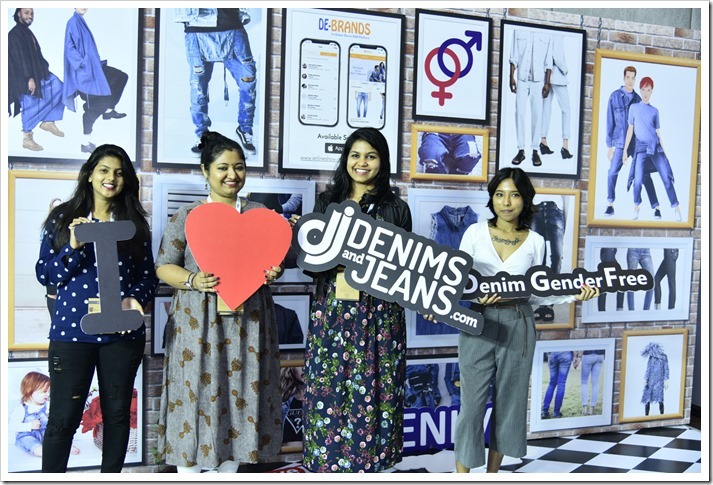 Please visit www.india.denimsandjeans.com for latest updates. 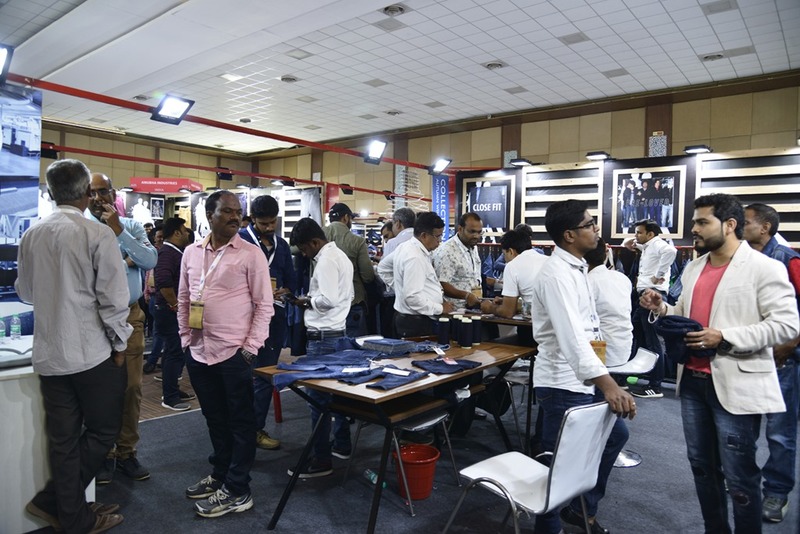 VF Planning To Sell Or Spin Off Denim Business ?